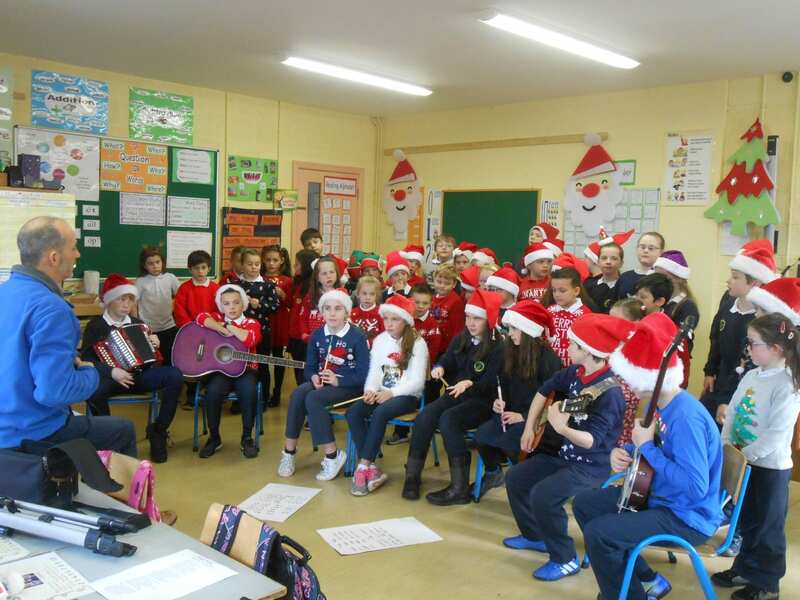 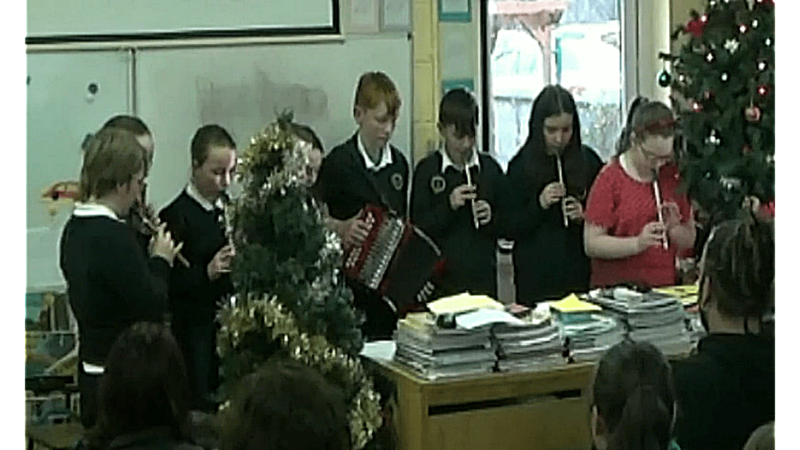 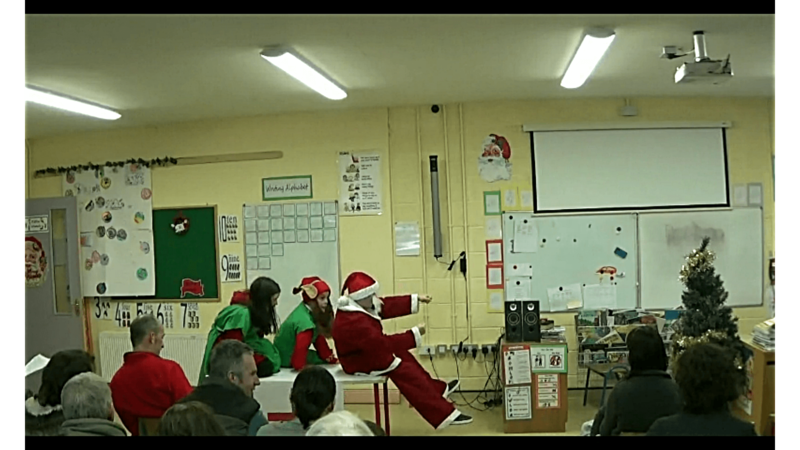 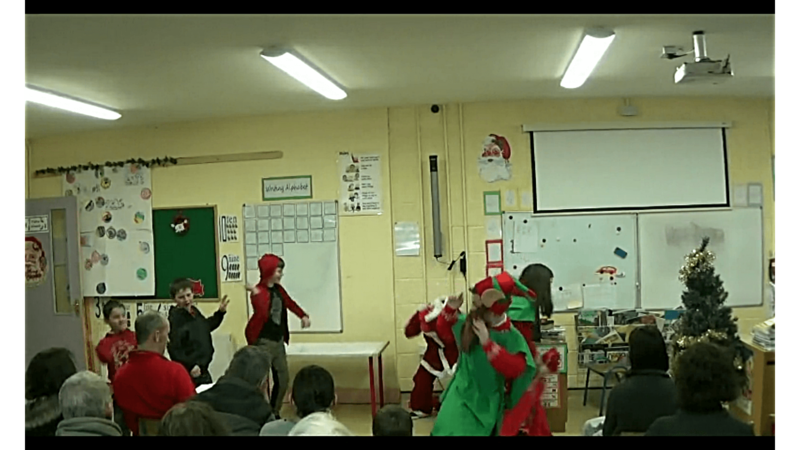 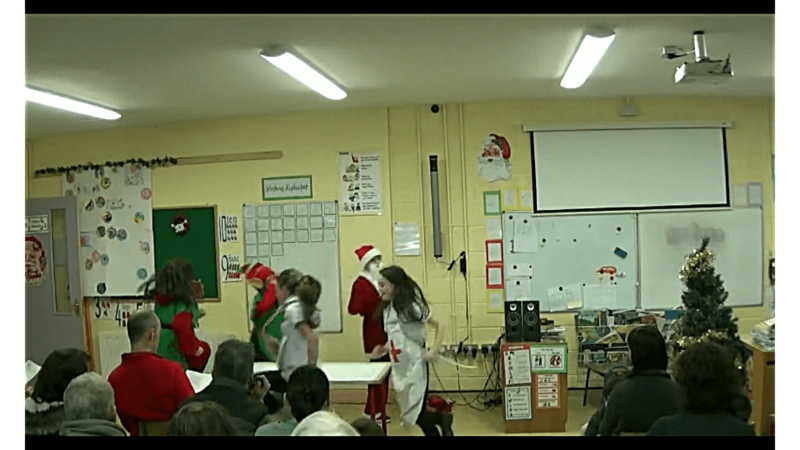 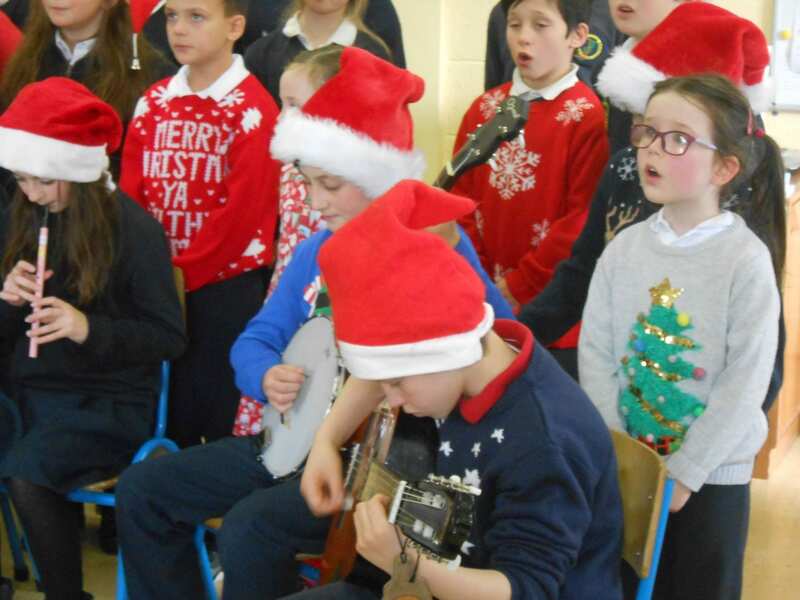 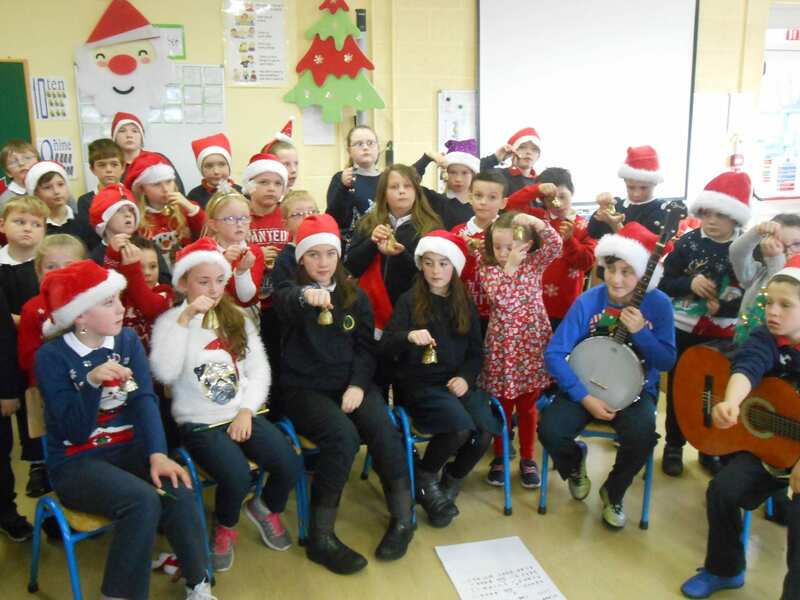 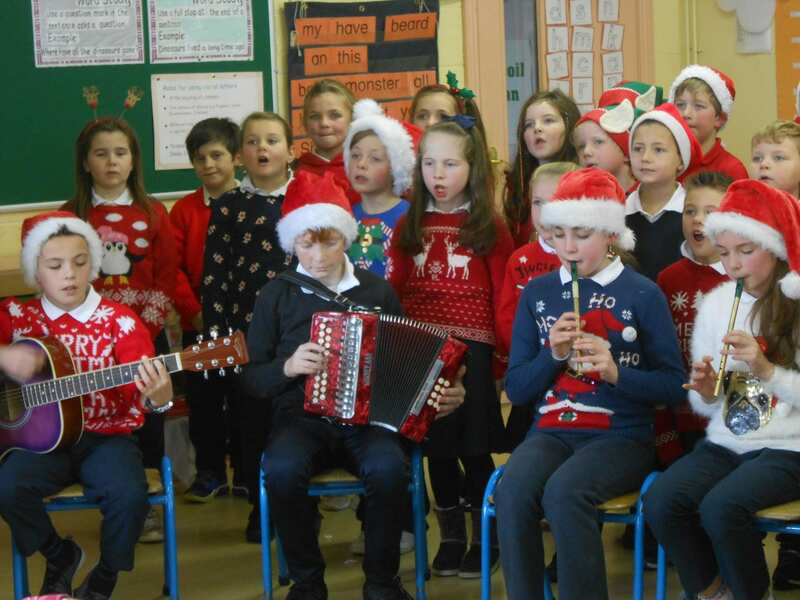 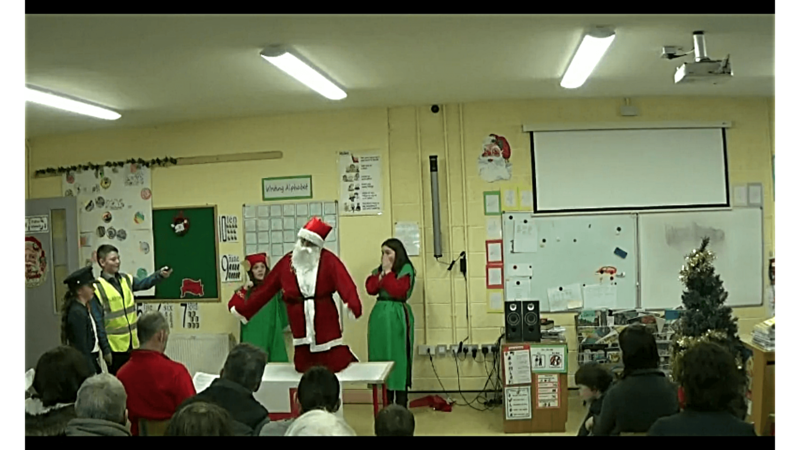 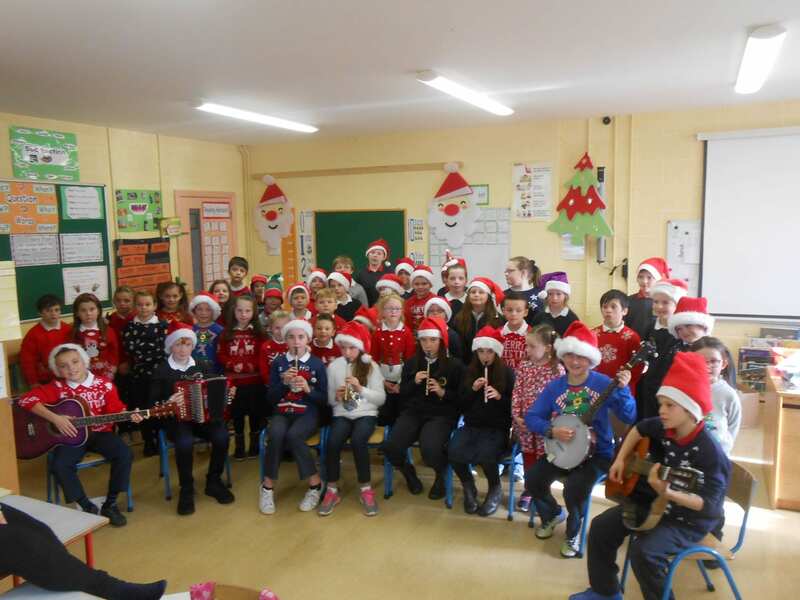 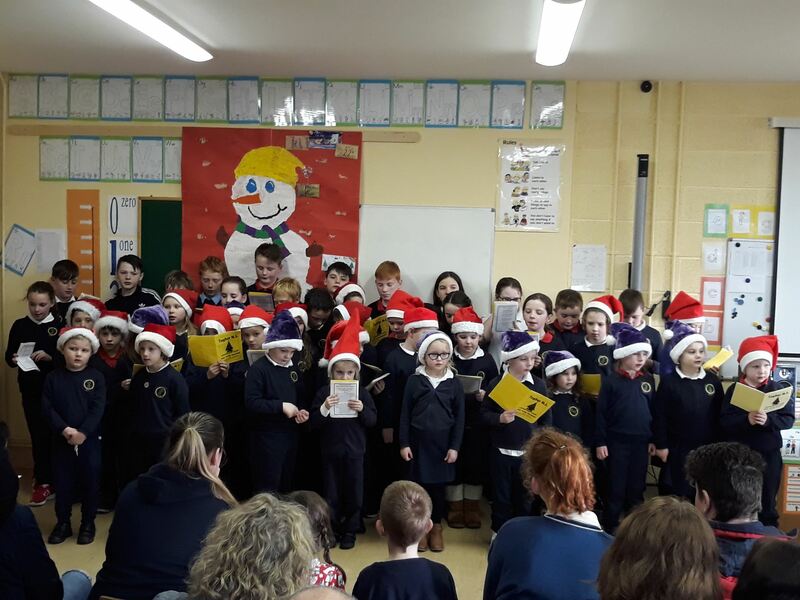 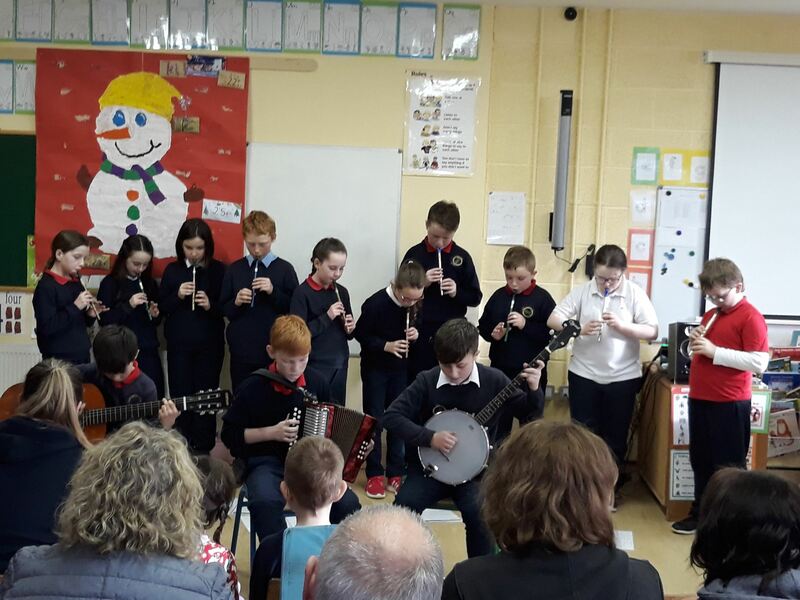 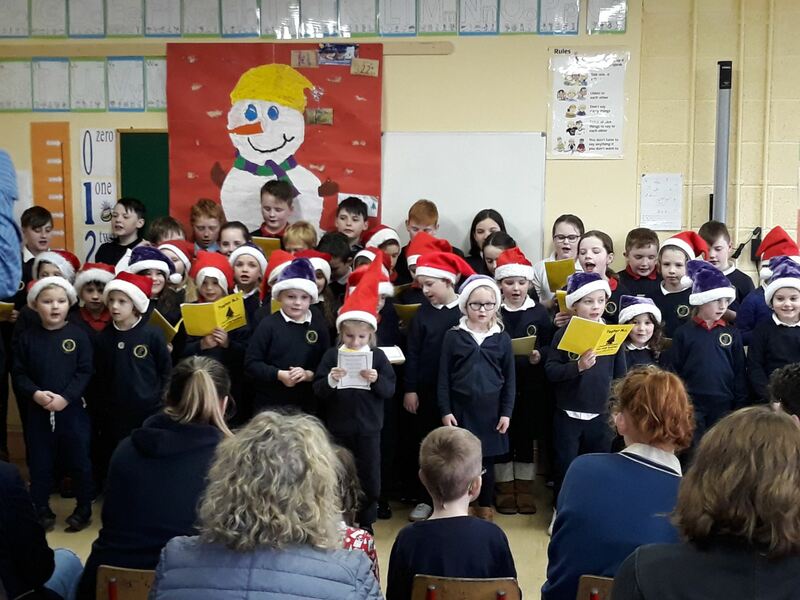 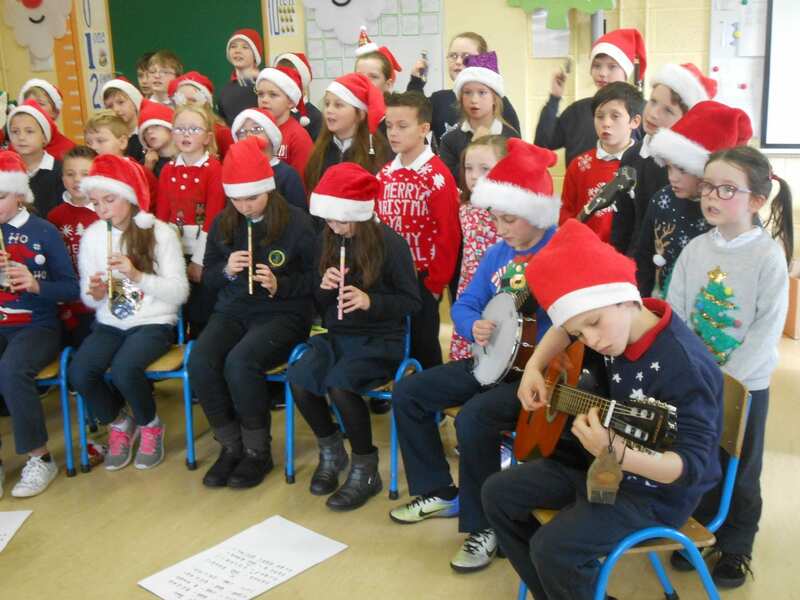 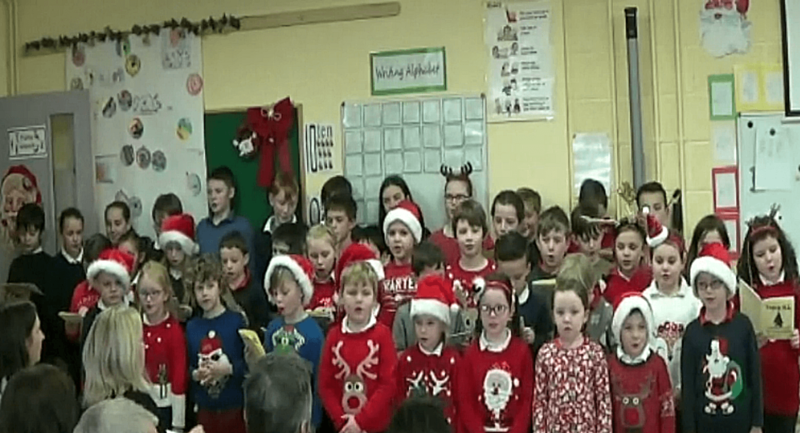 Another Christmas tradition here at Togher N.S. 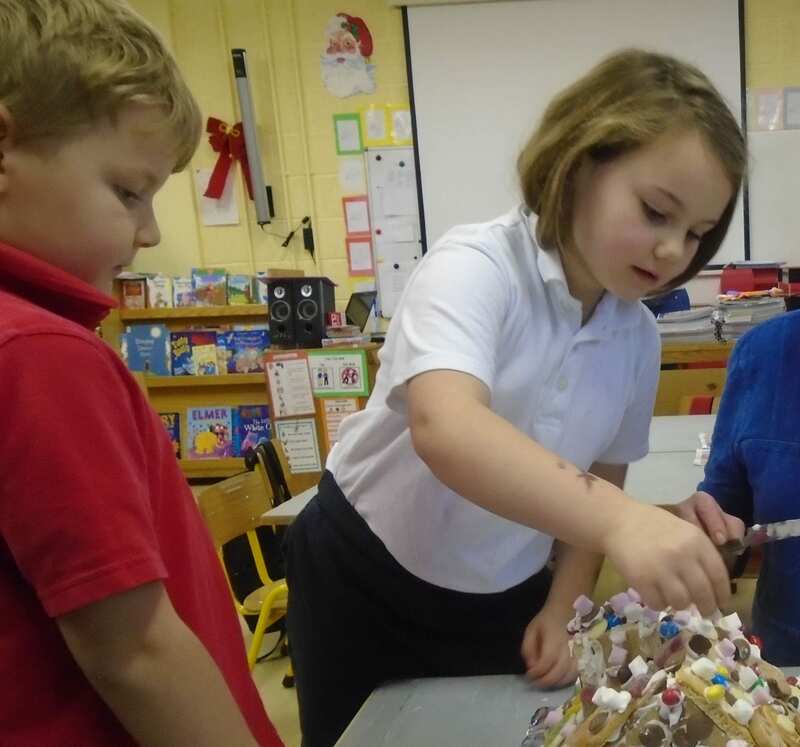 is creating delicious Gingerbread Houses. 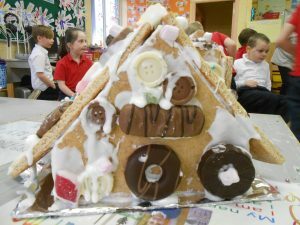 The children really look forward to making these lovely treats and of course eating them before the holiday. 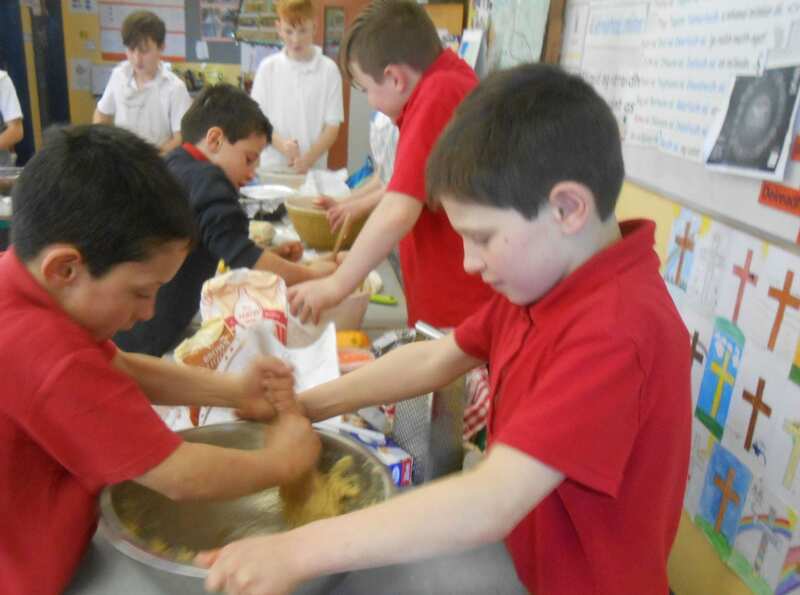 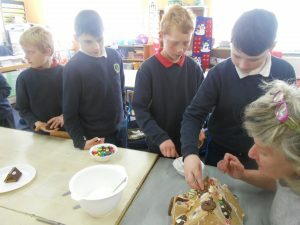 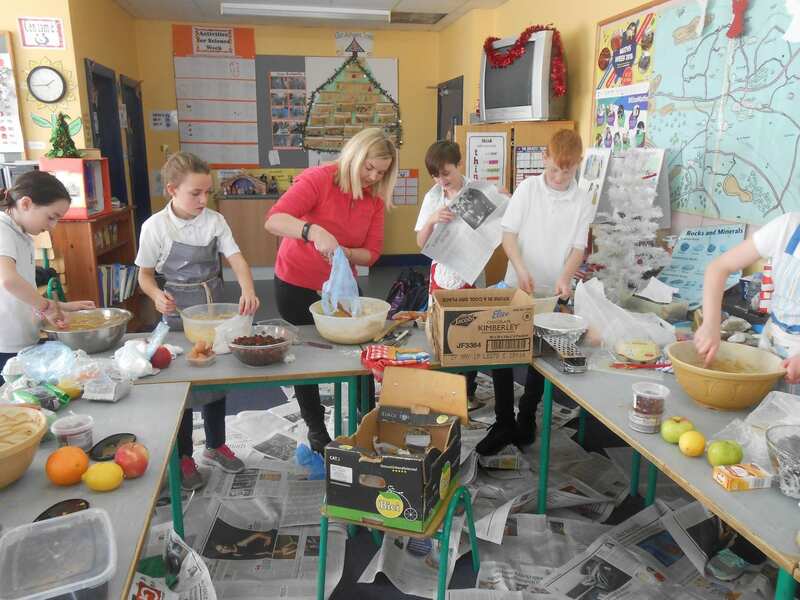 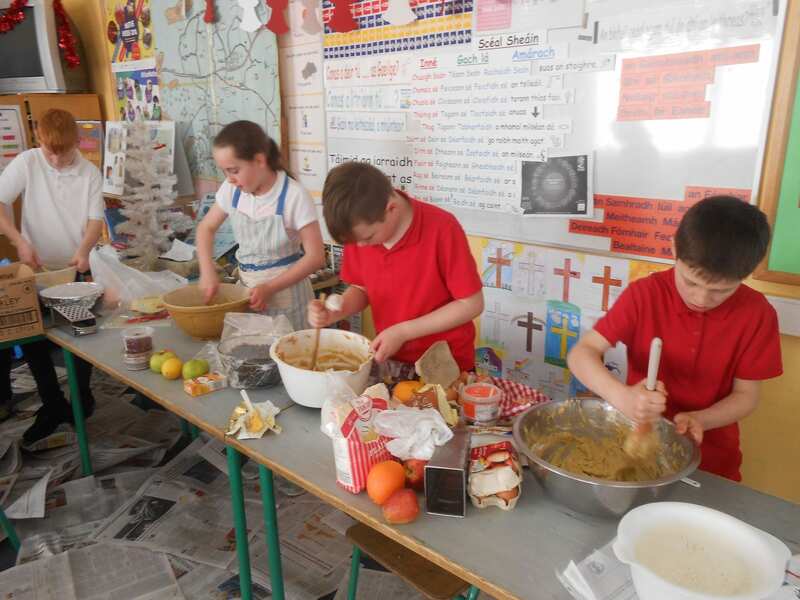 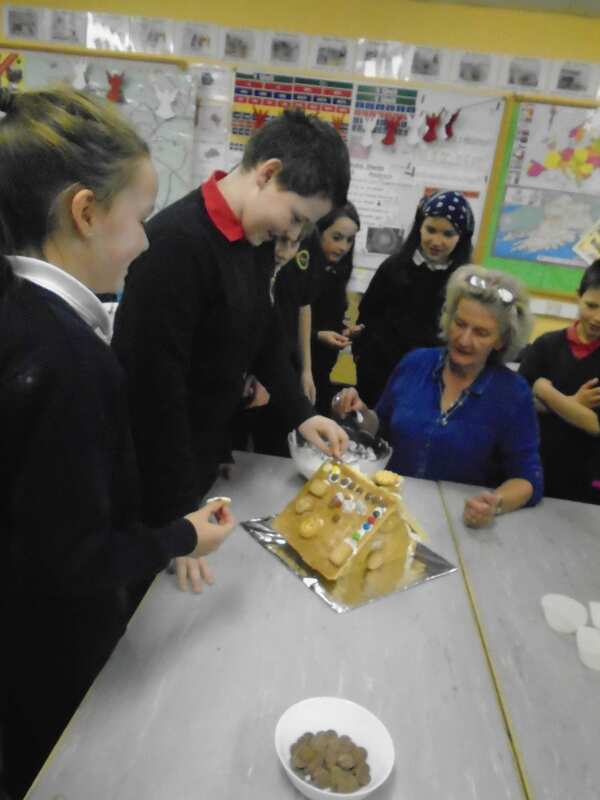 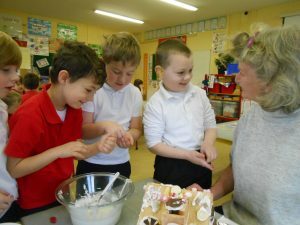 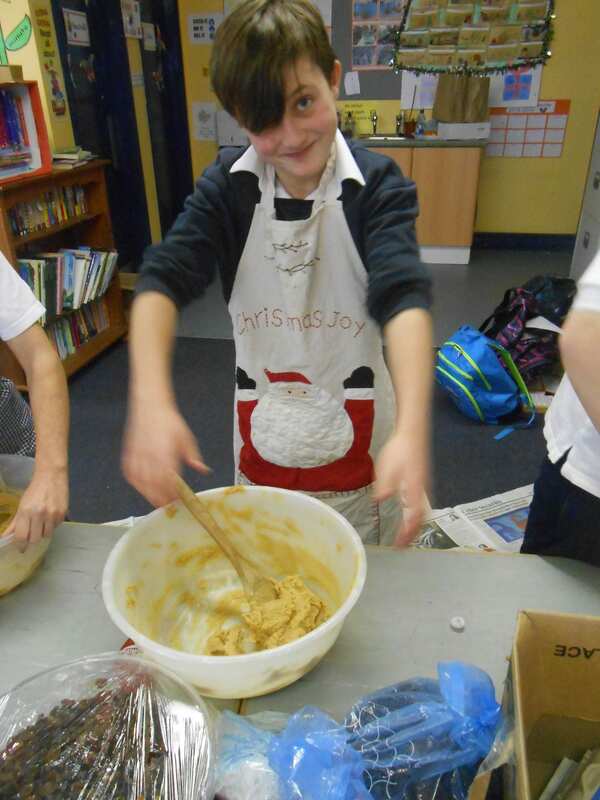 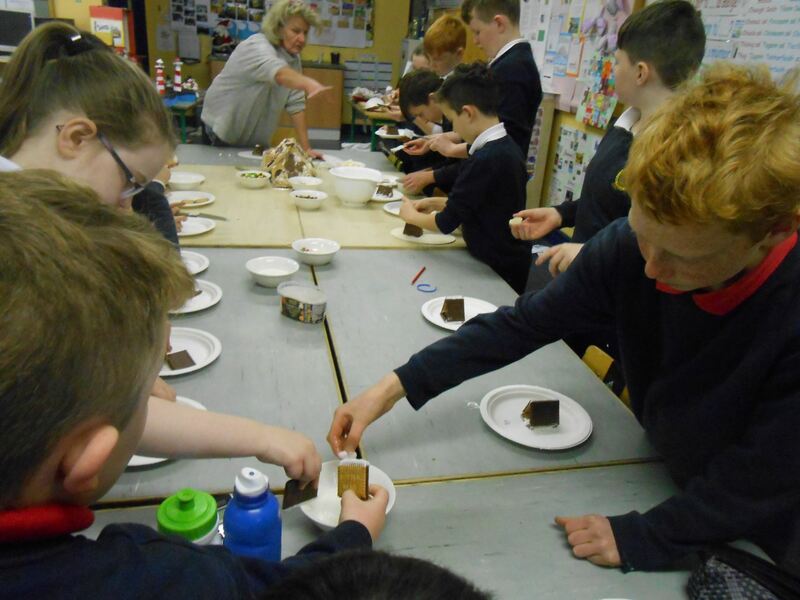 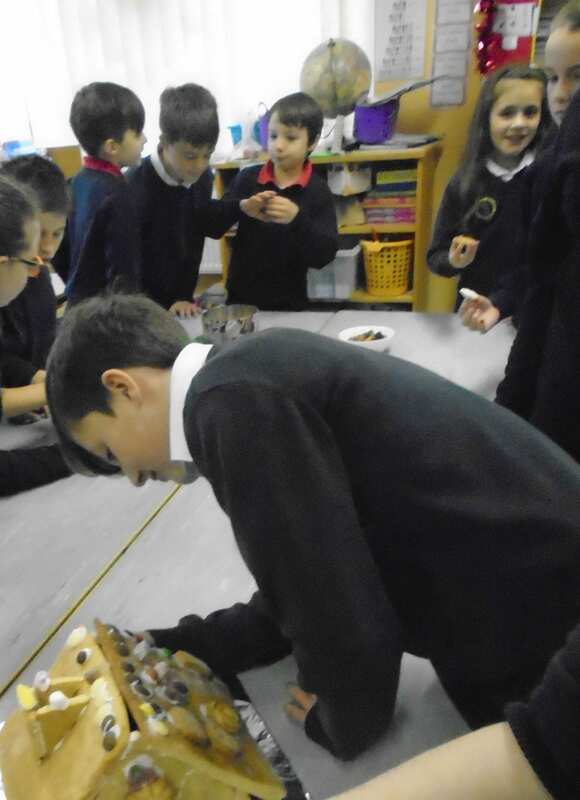 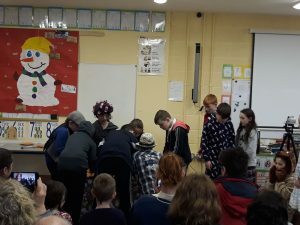 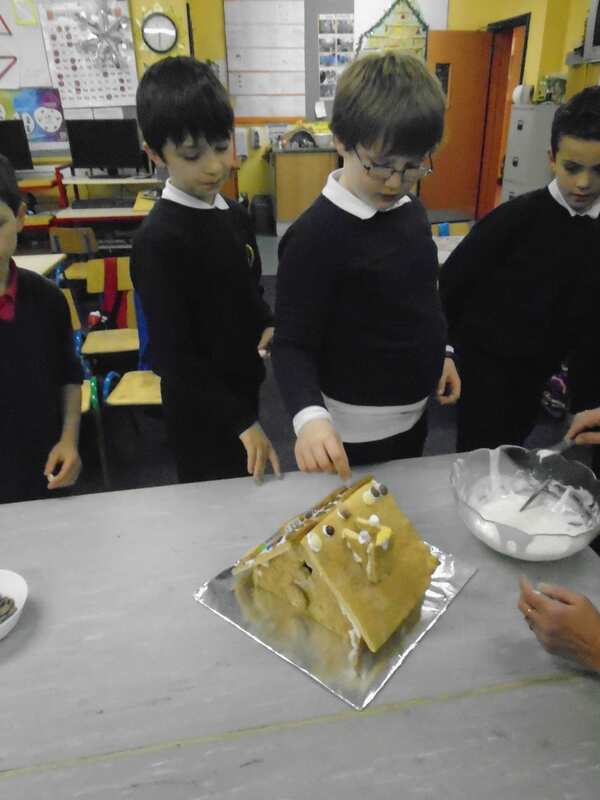 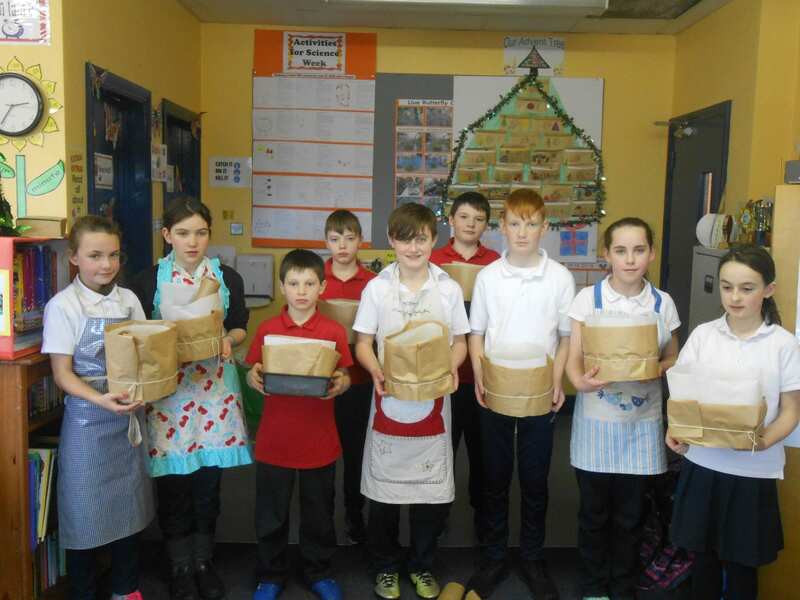 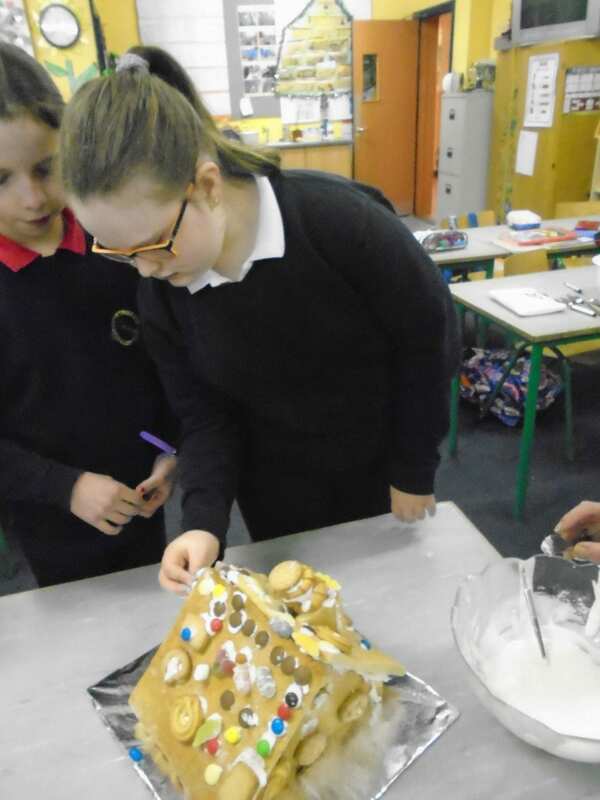 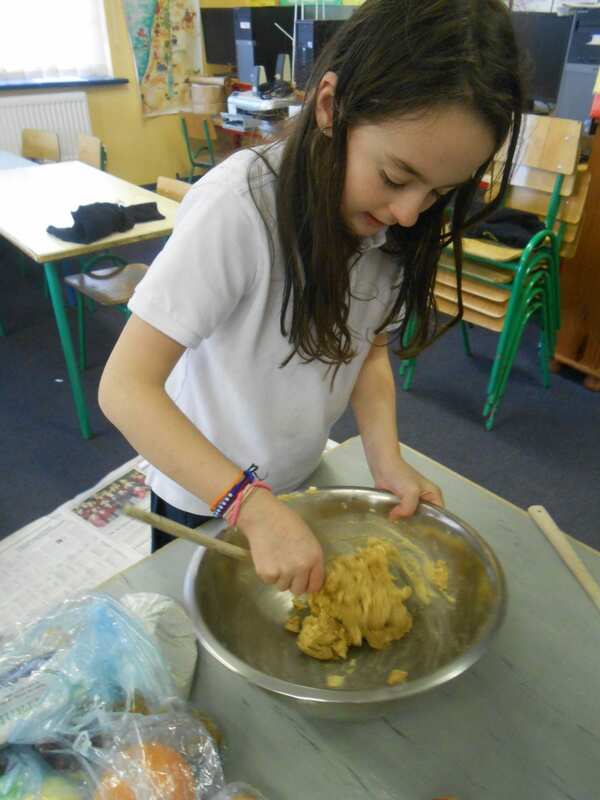 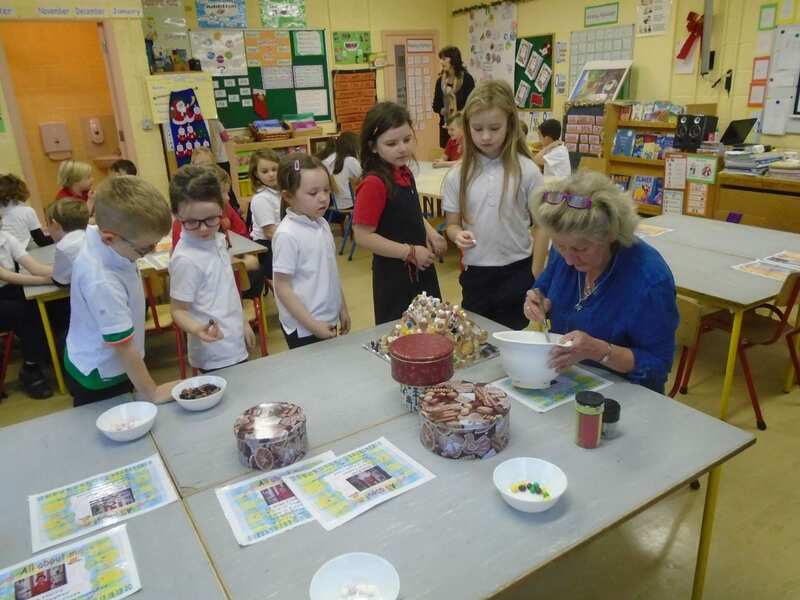 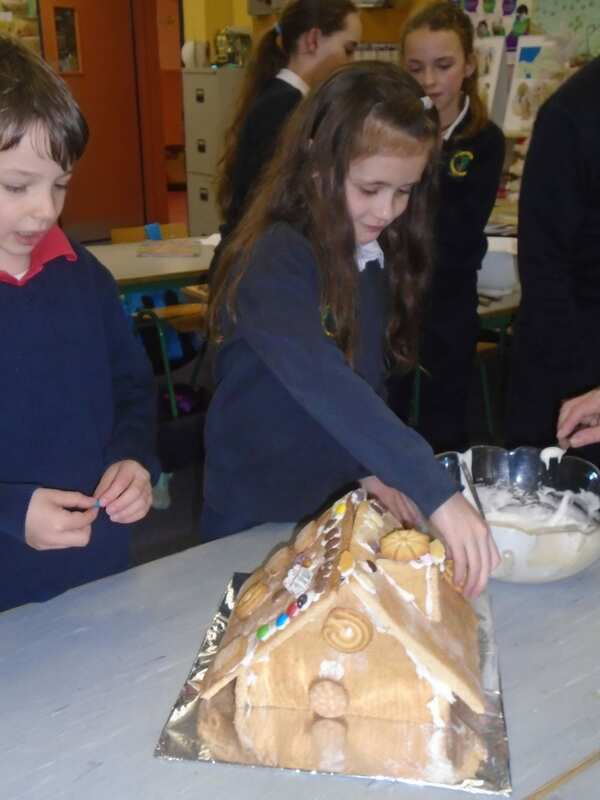 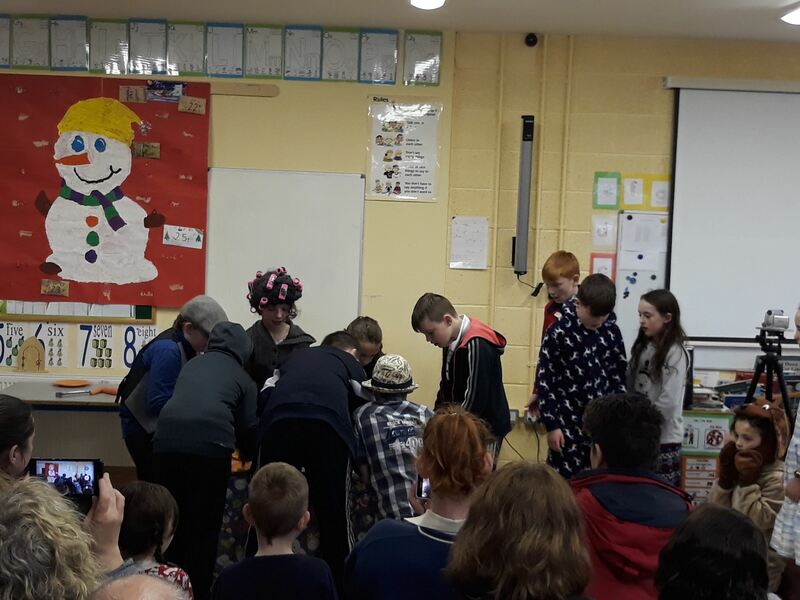 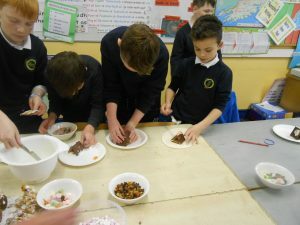 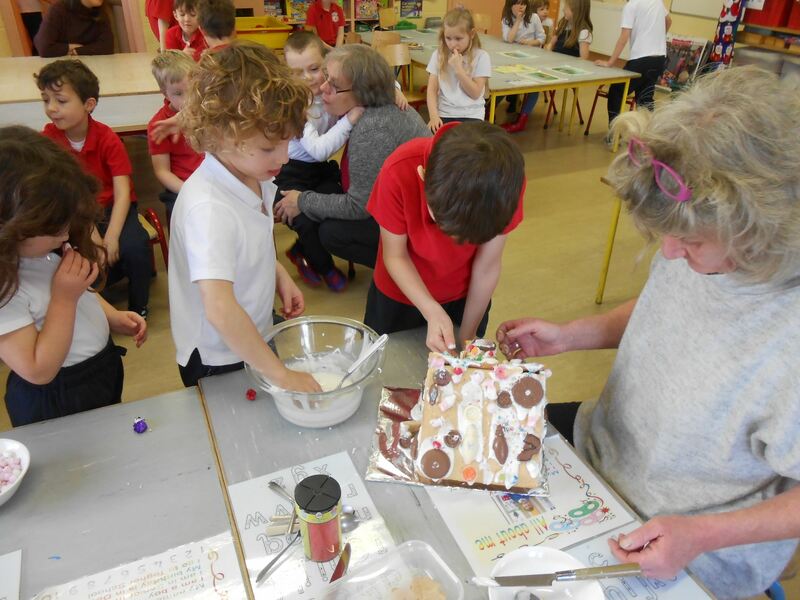 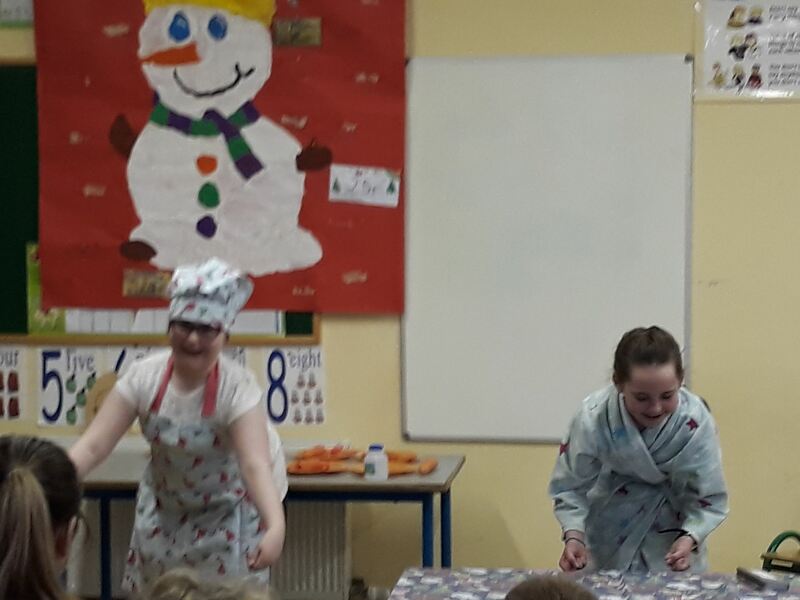 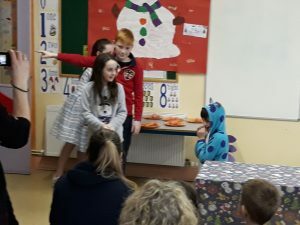 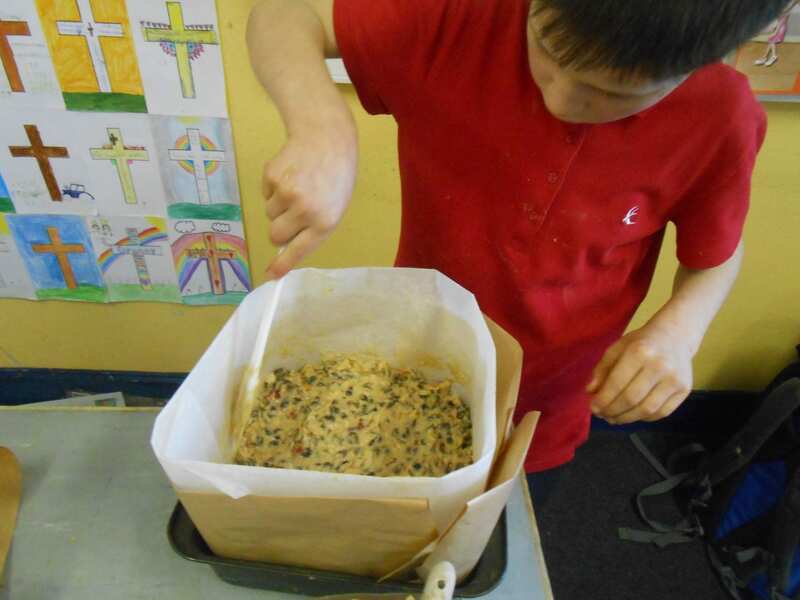 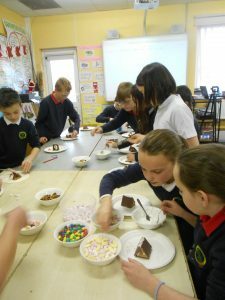 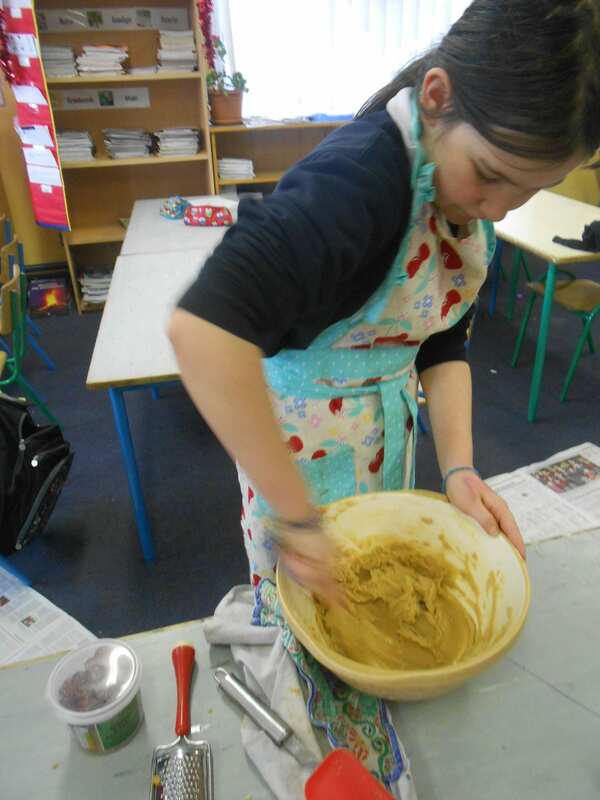 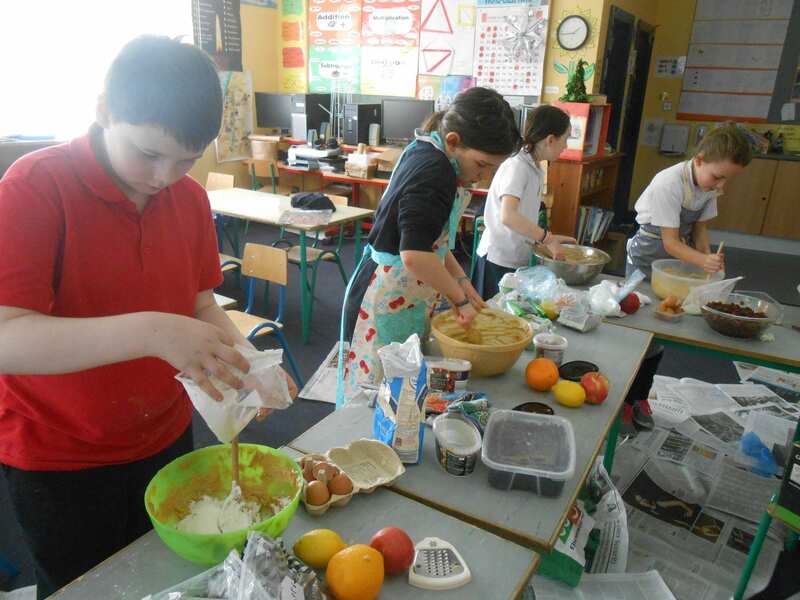 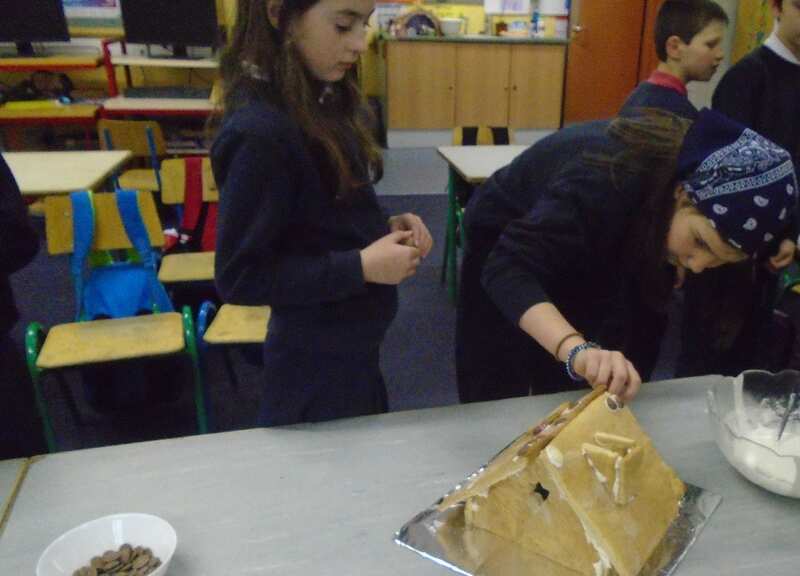 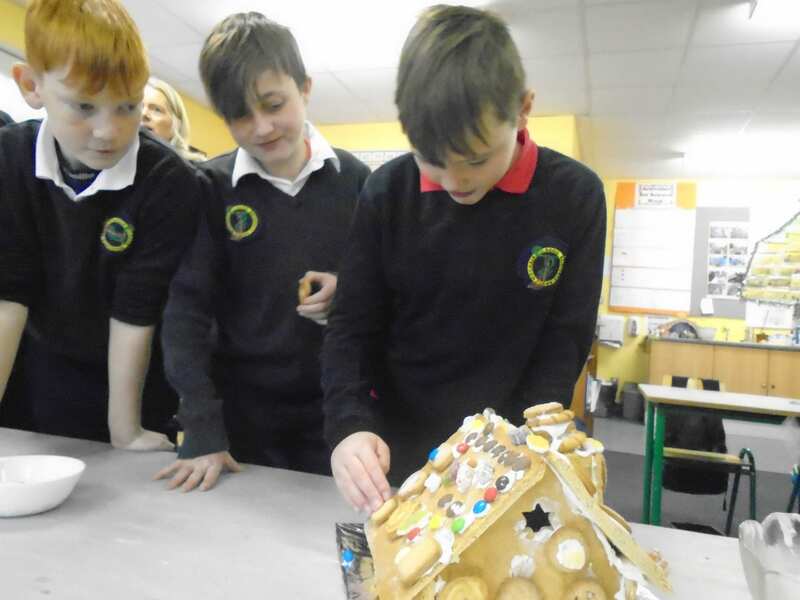 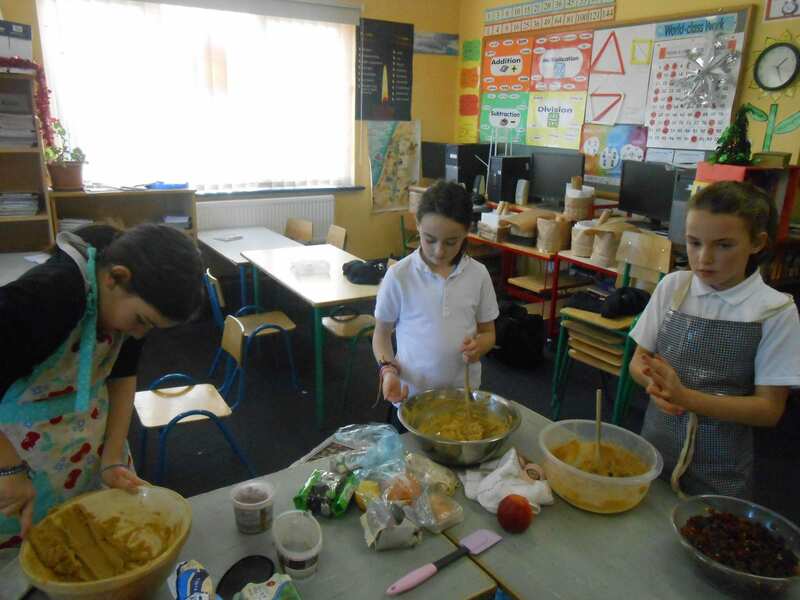 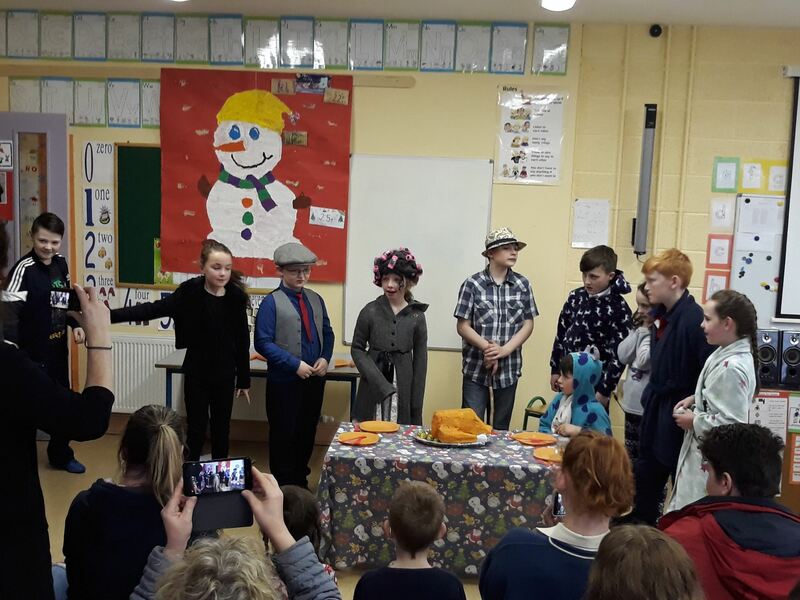 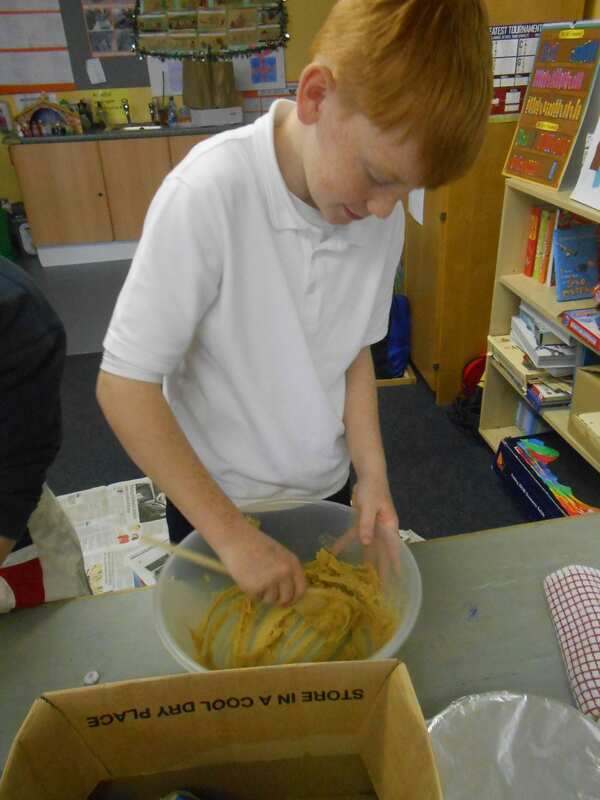 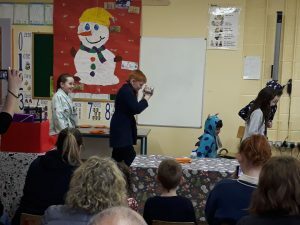 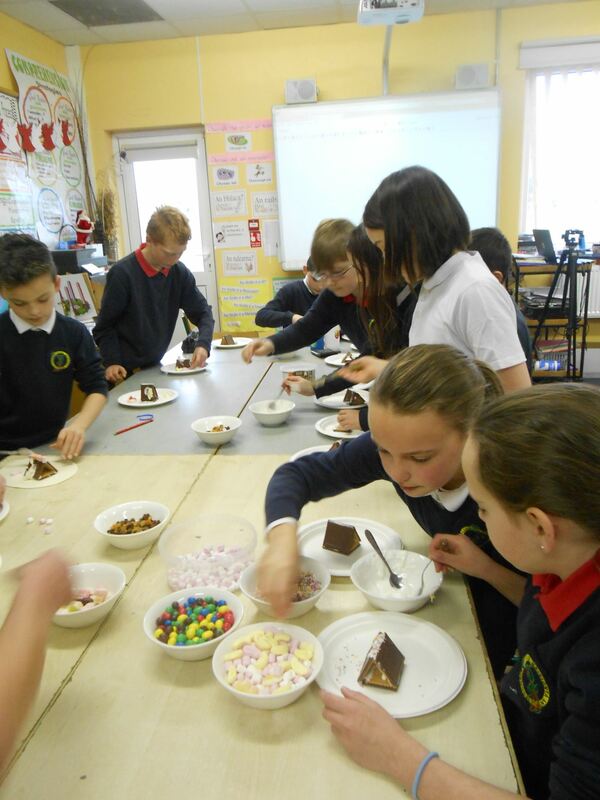 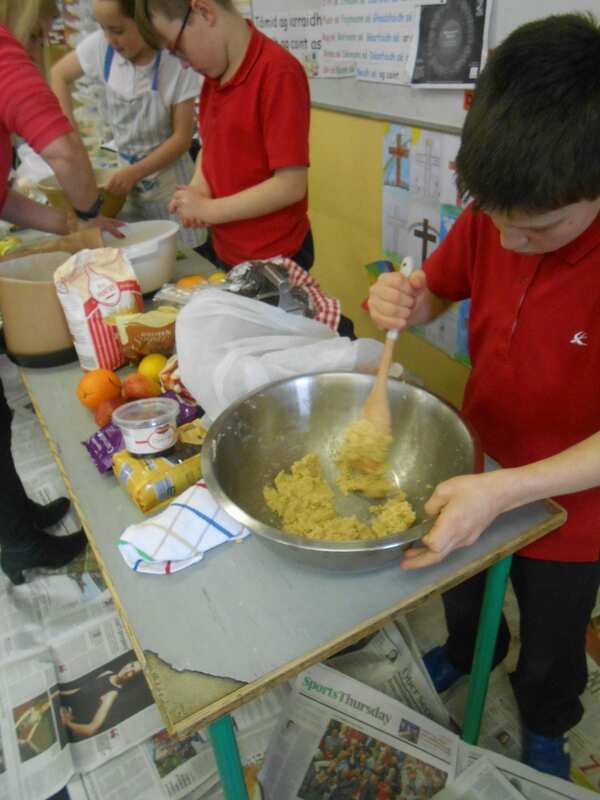 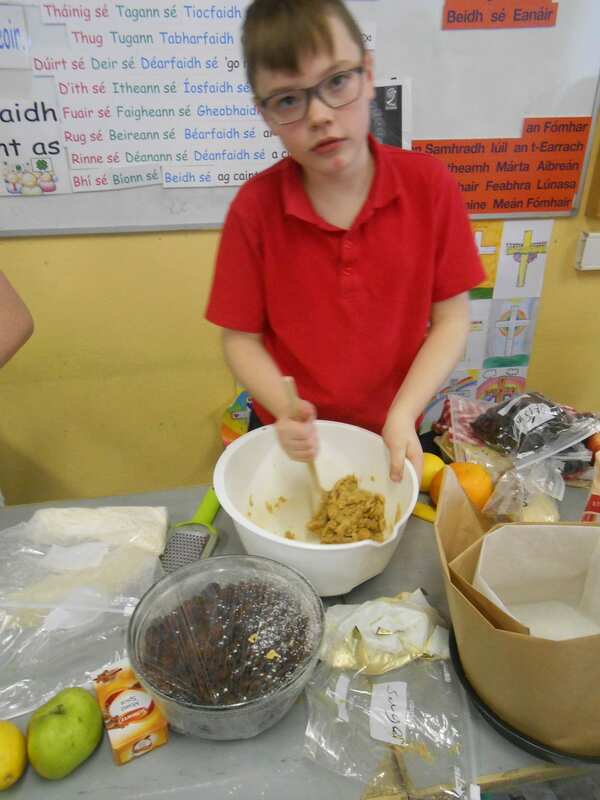 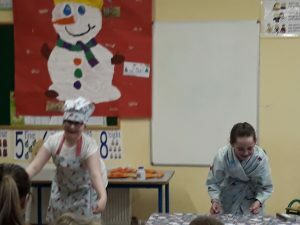 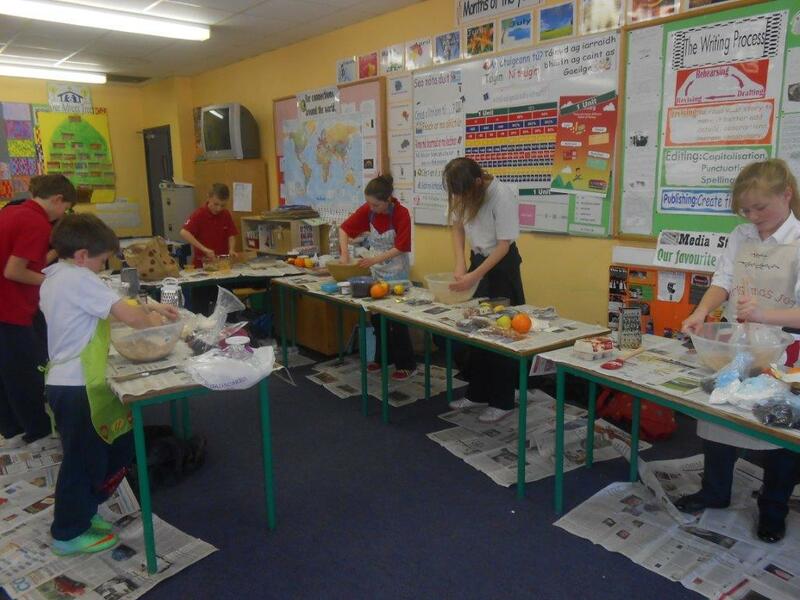 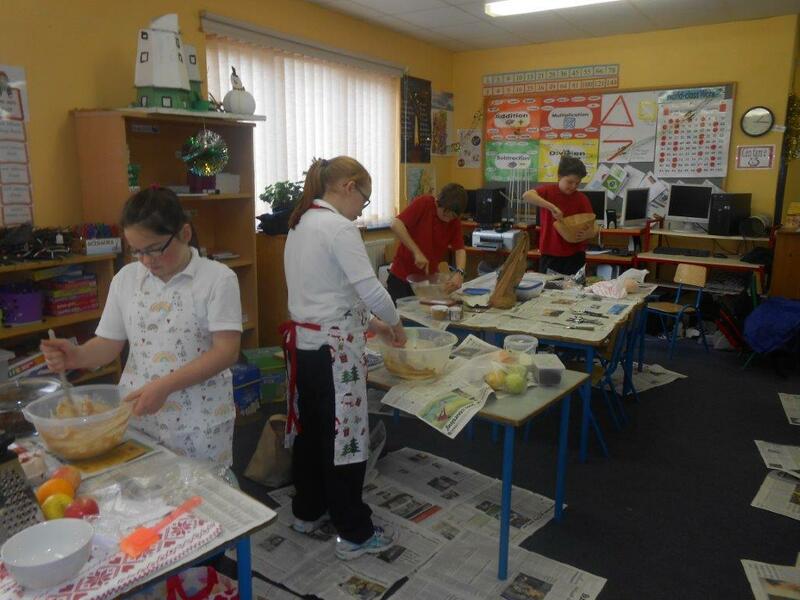 It is an old tradition for 5th and 6th classes to make a Christmas cake. 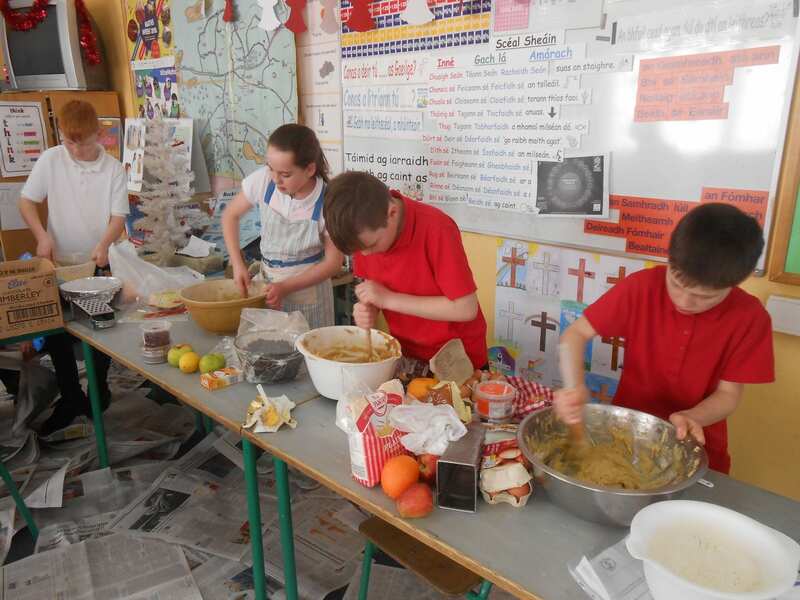 Just like every other year, we kept the tradition, using the usual recipe and using no electric mixers ! 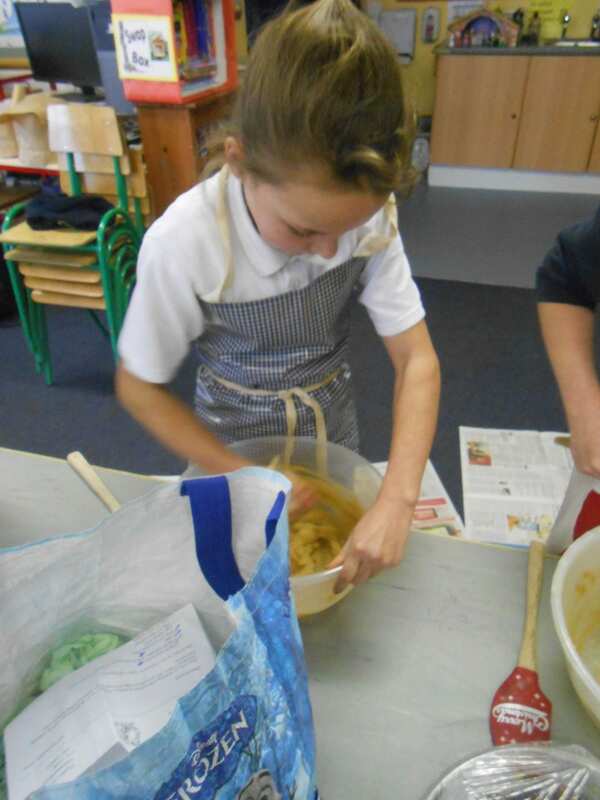 Just some good old elbow grease. 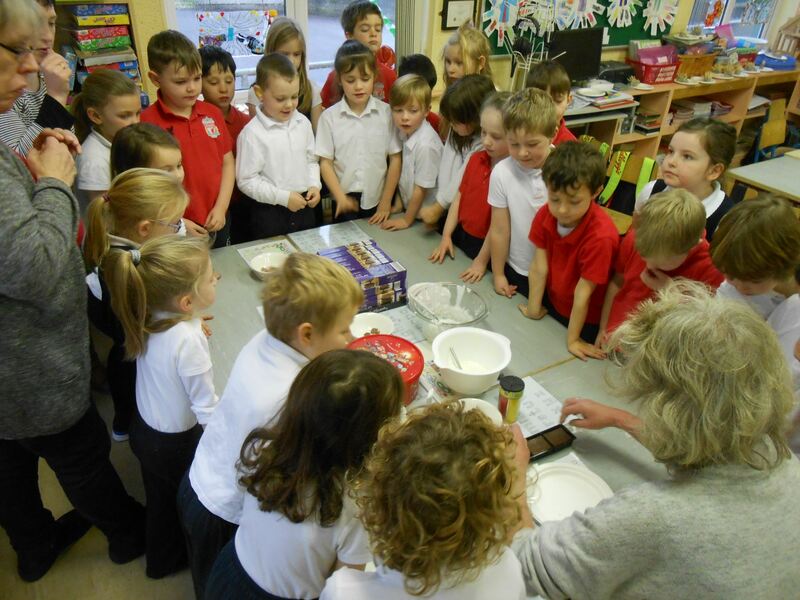 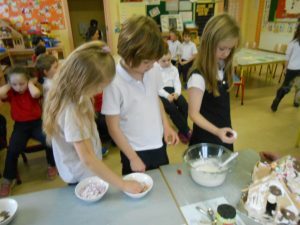 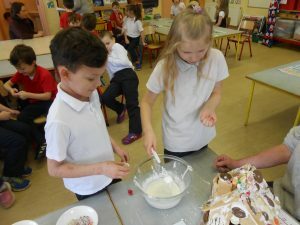 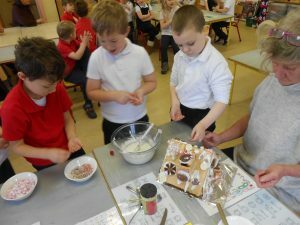 The children mixed the ingredients perfectly using a wooden spoon, while chatting happily and listening to Christmas songs. The cakes all turned out brilliantly in the end. 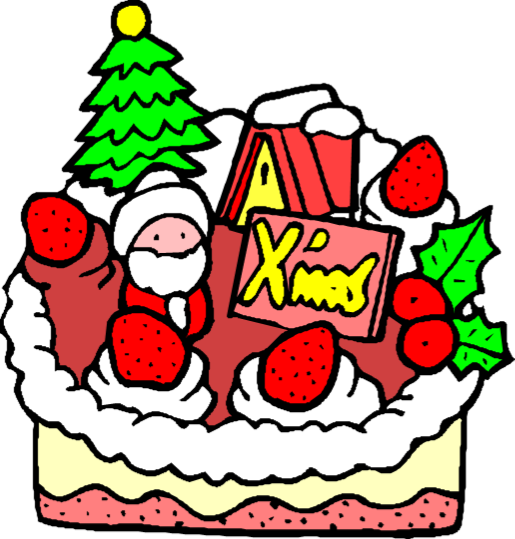 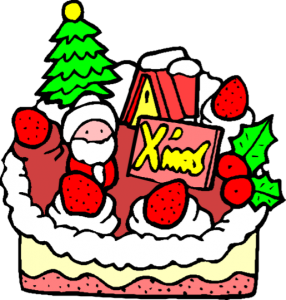 We are all eager to eat the cakes after the delicious Christmas dinner as we are certain the cakes will be scrumptious. 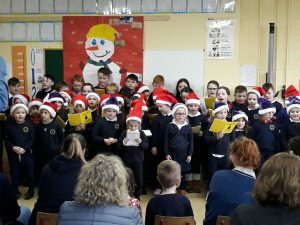 We would like to wish our children, parents and the school community a wonderful Christmas and all the very best in the New Year. 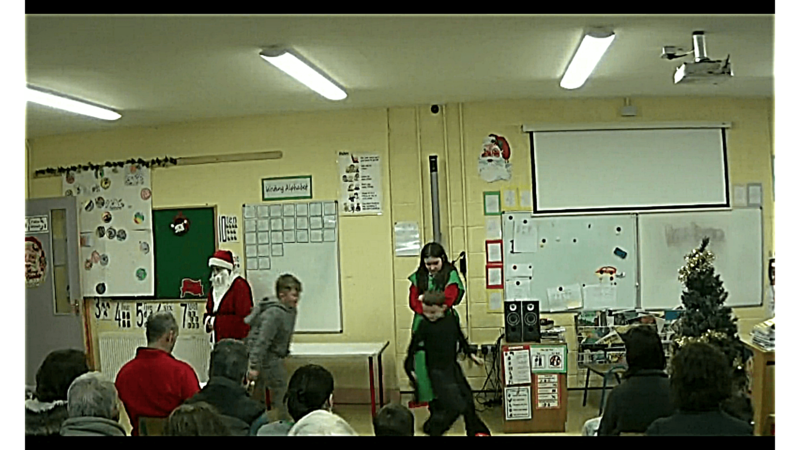 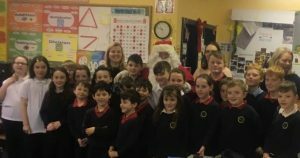 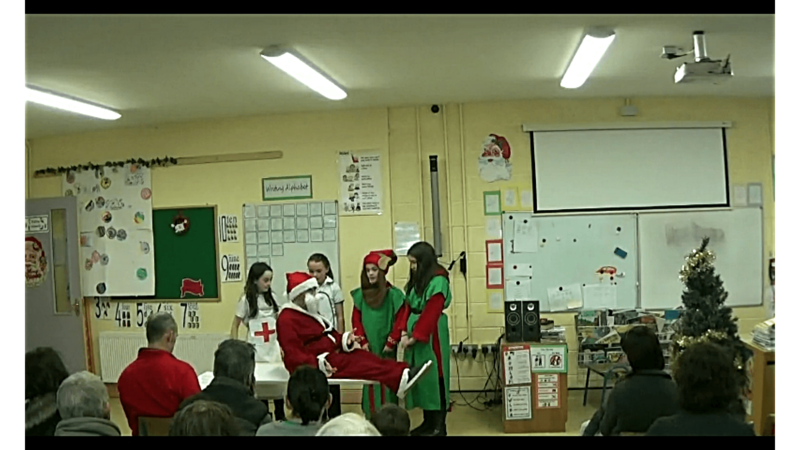 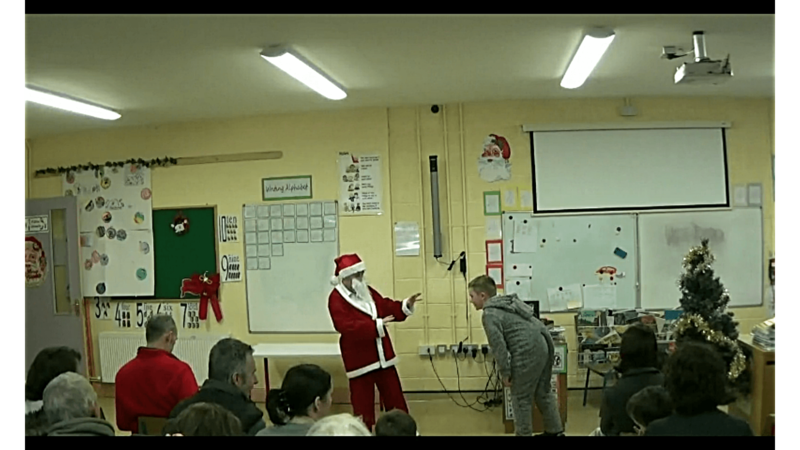 Santa meeting pupils from the senior classroom. 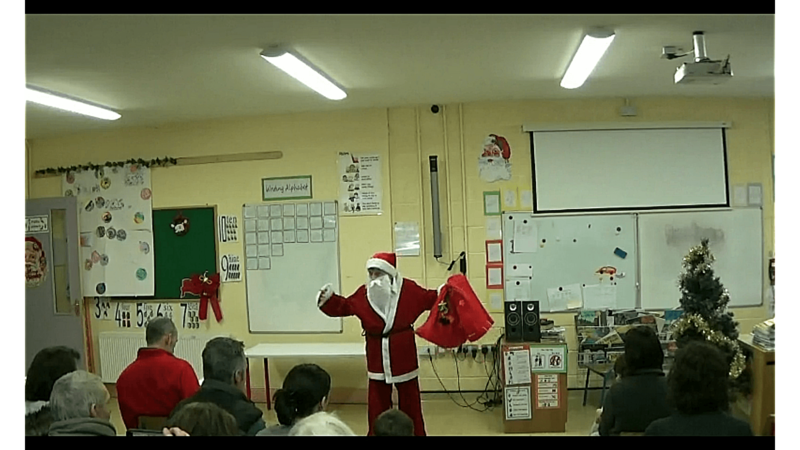 A huge Thank You to everyone that came to enjoy our Christmas Variety Show. 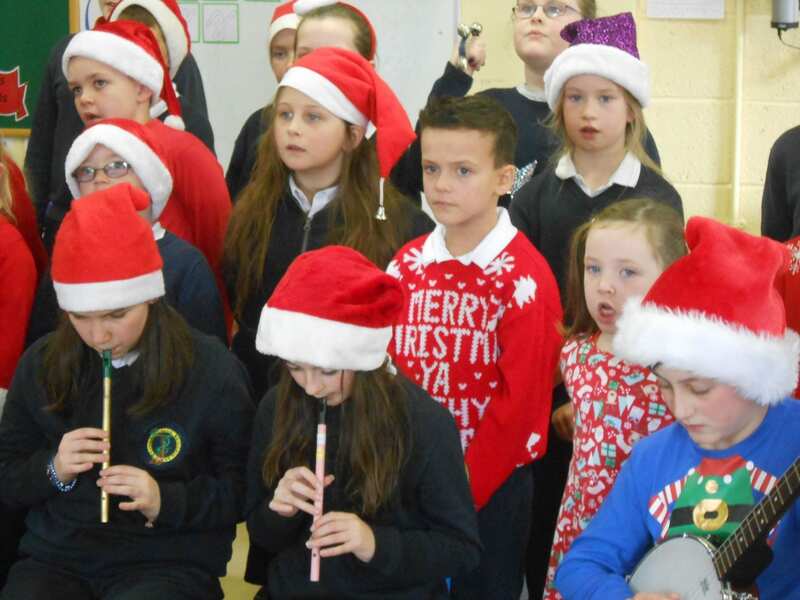 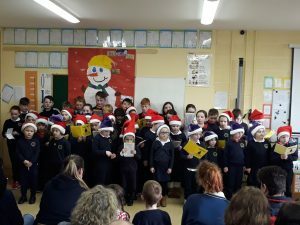 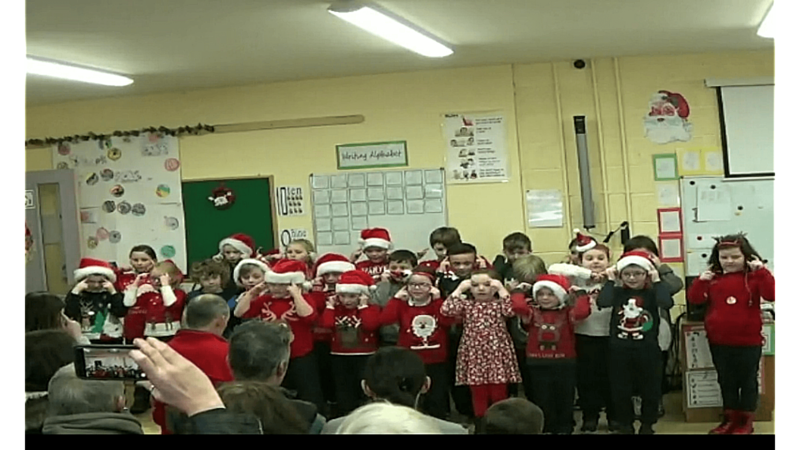 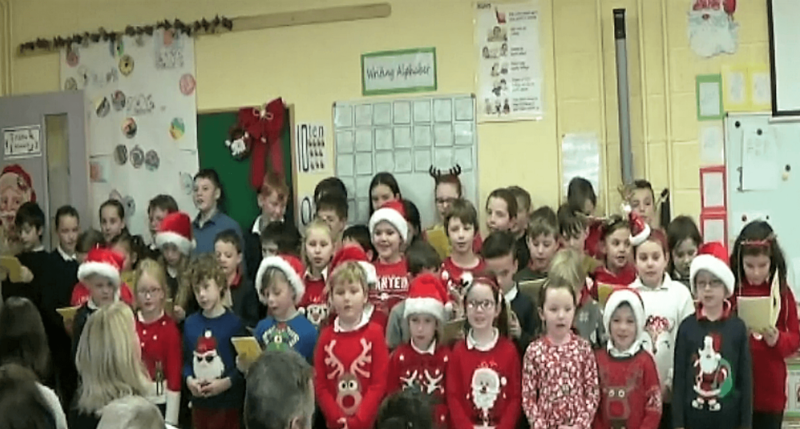 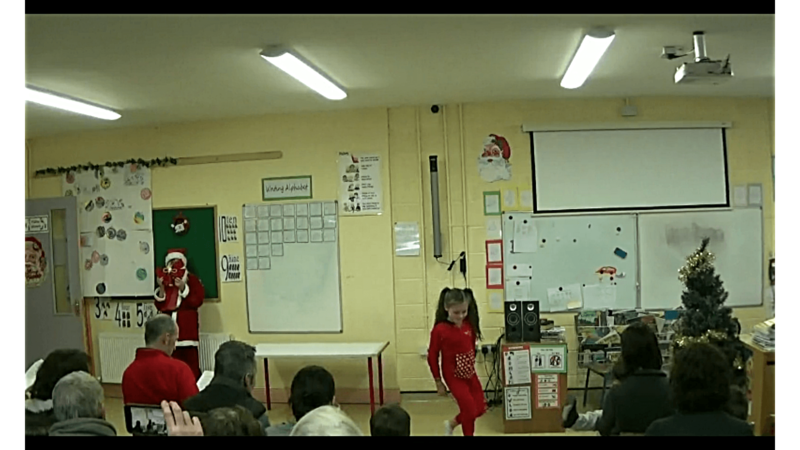 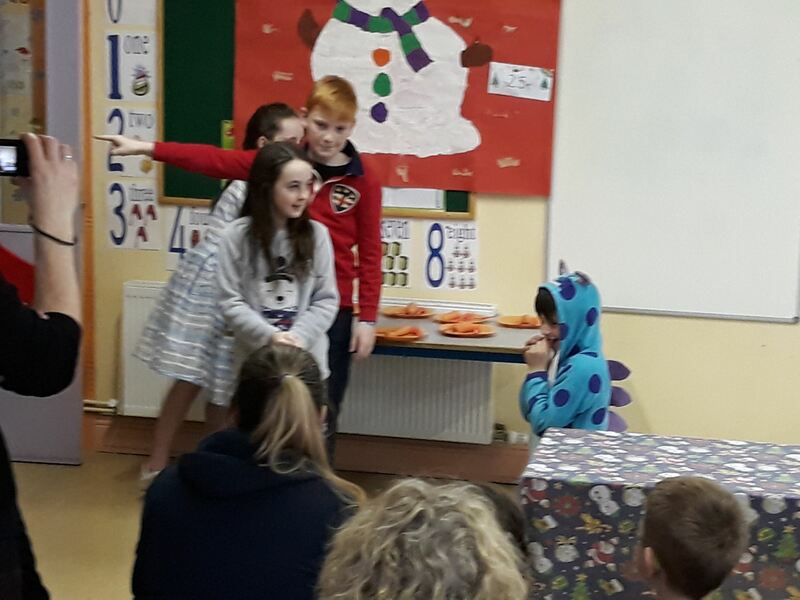 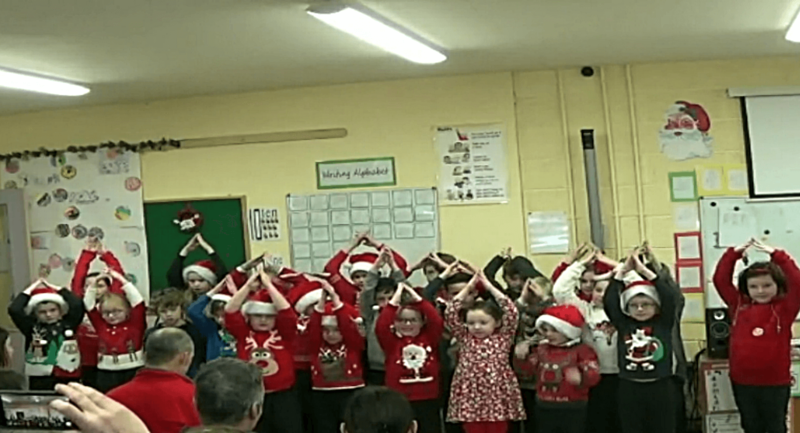 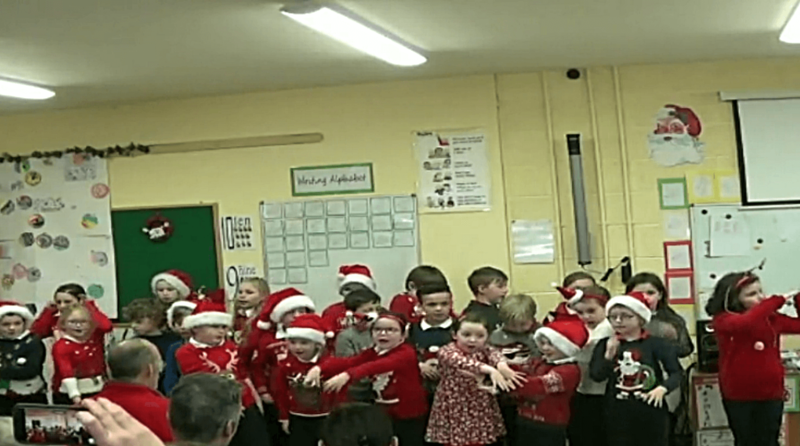 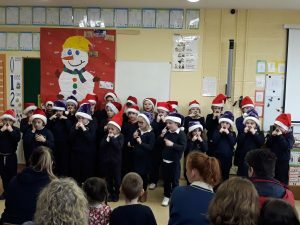 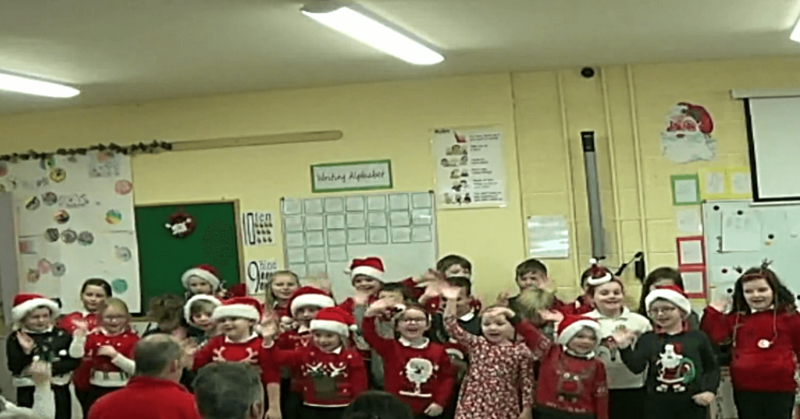 The children really enjoyed singing Christmas carols and performing their Christmas play – A Christmas Puppy. 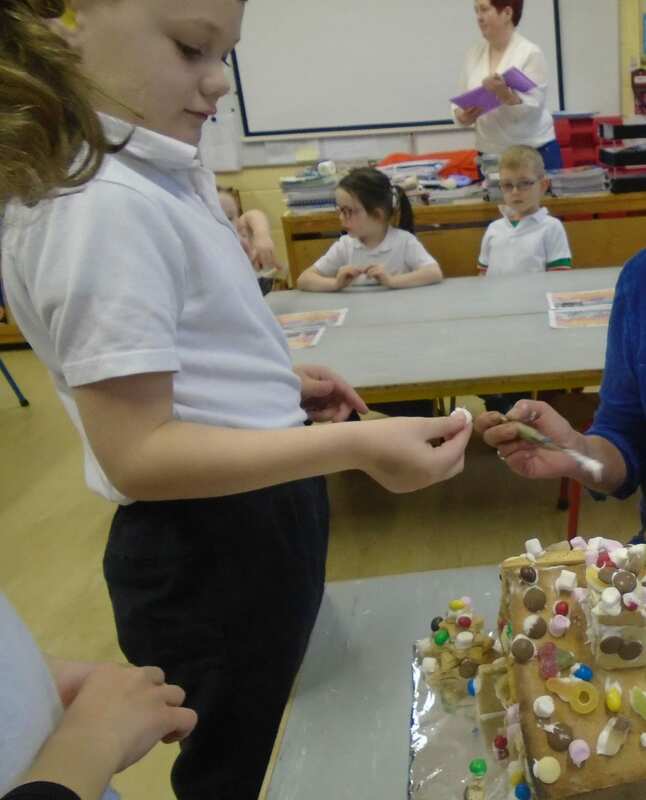 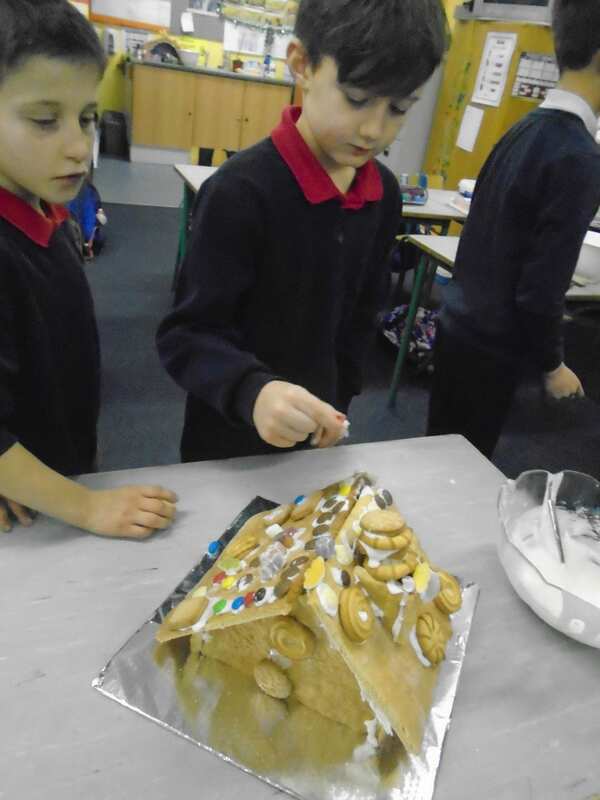 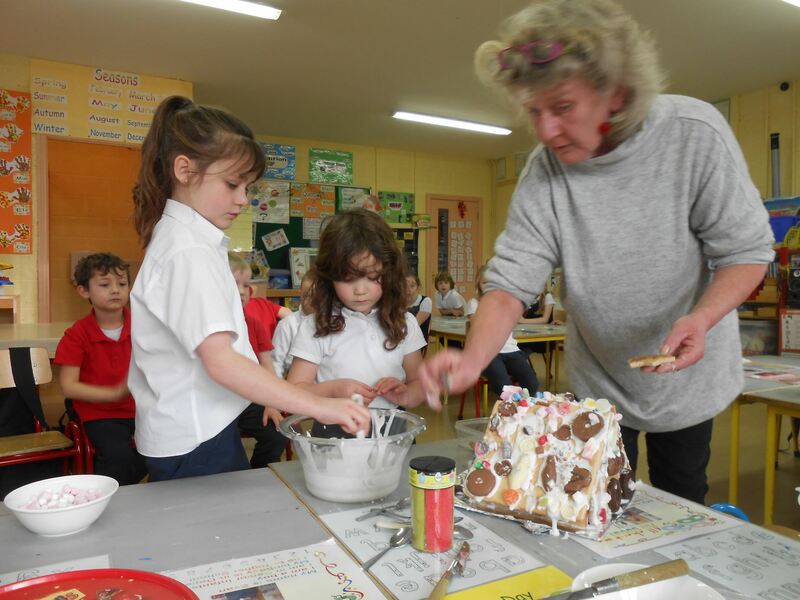 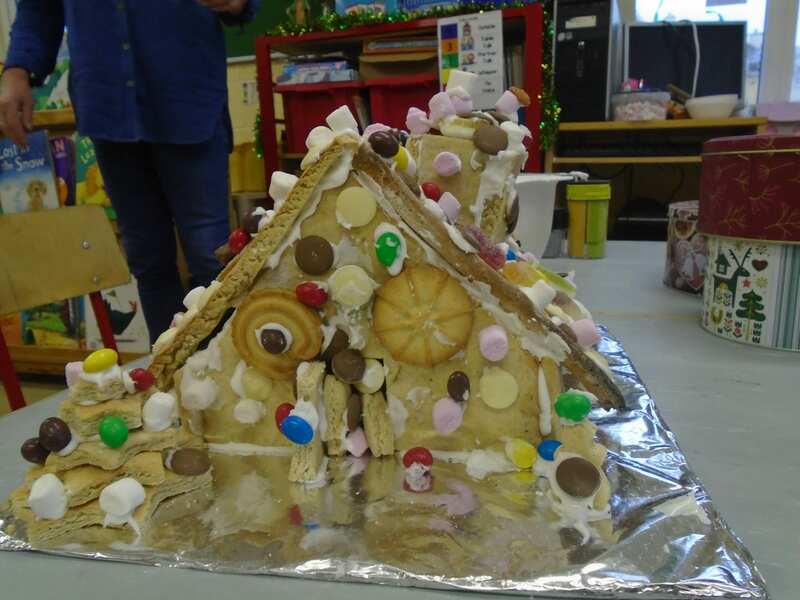 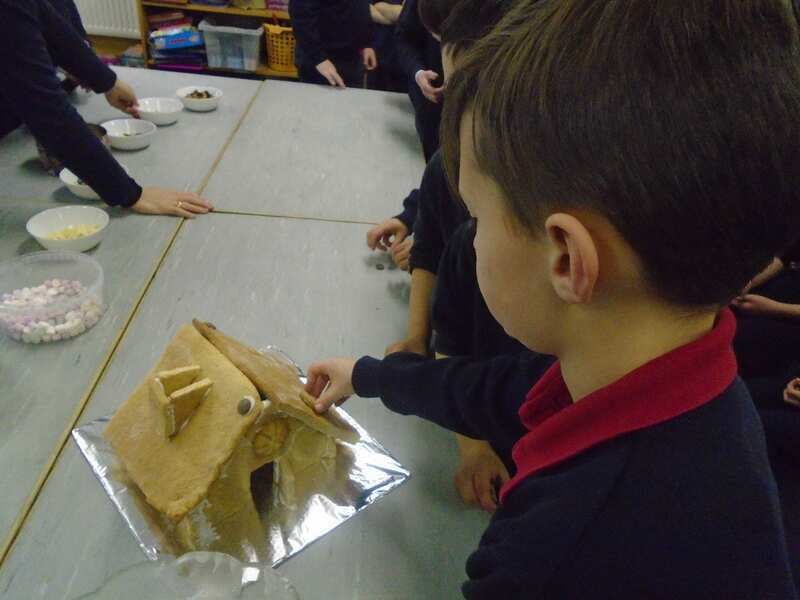 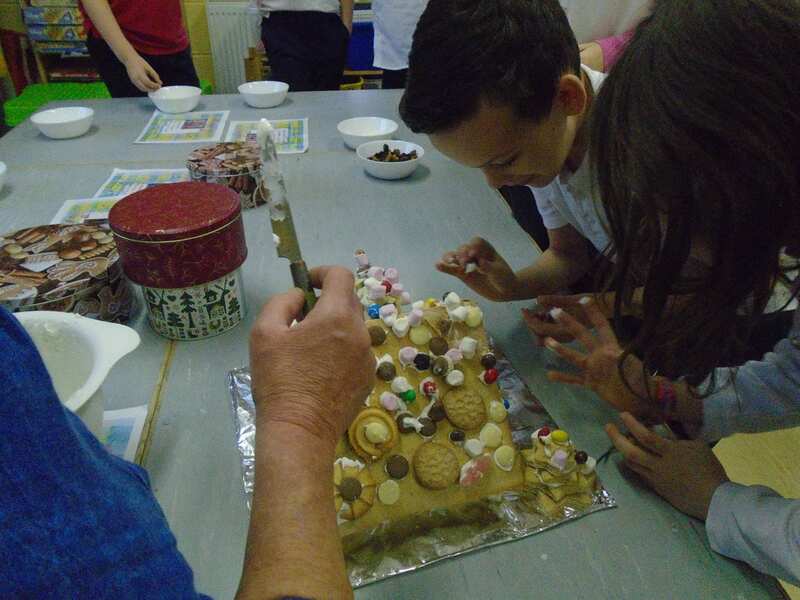 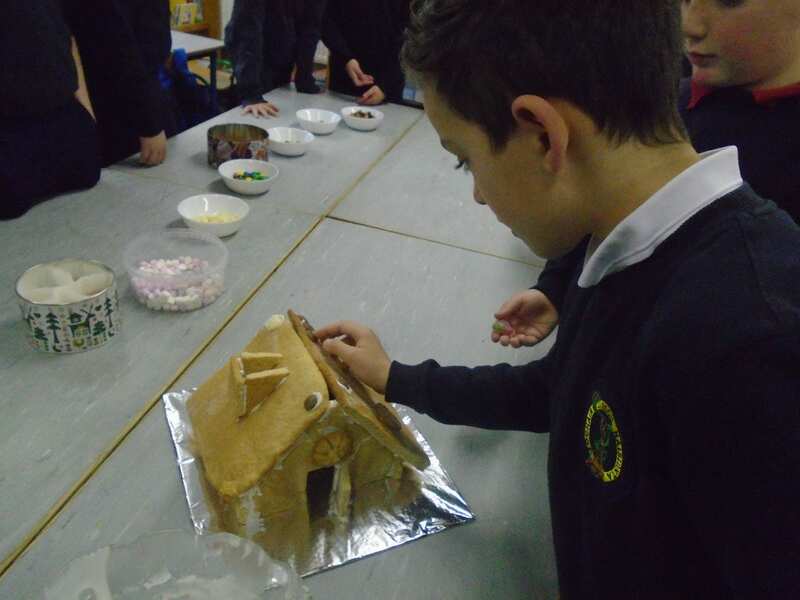 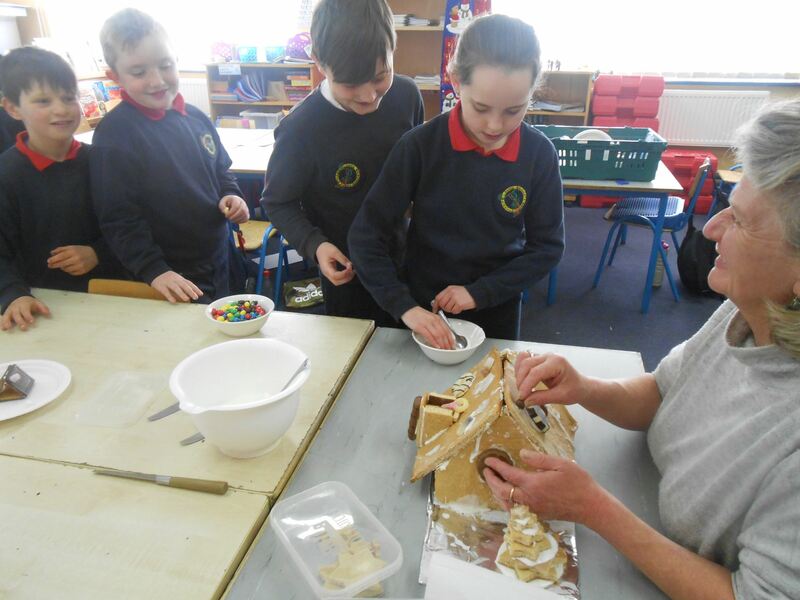 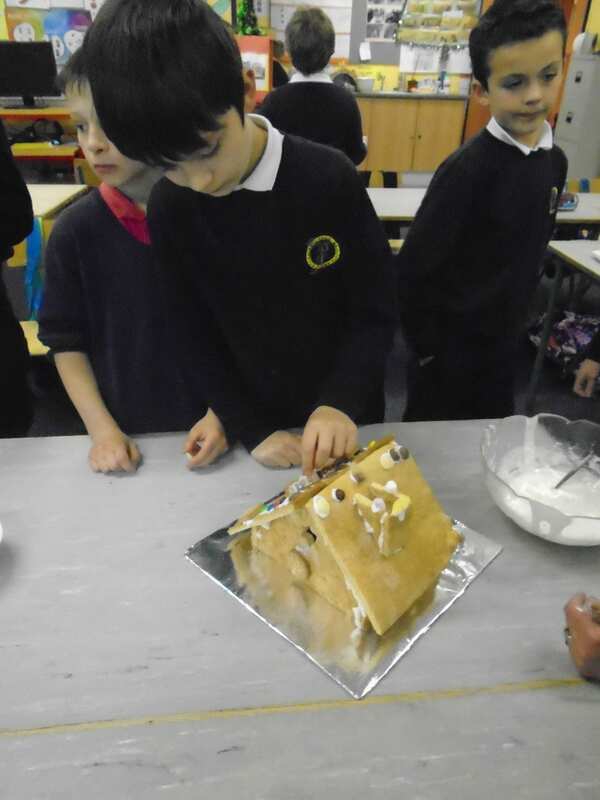 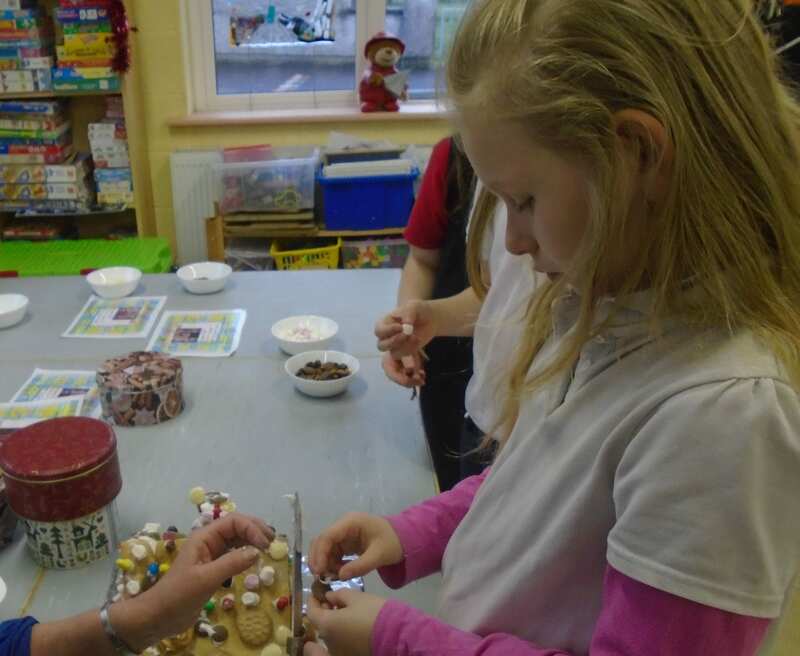 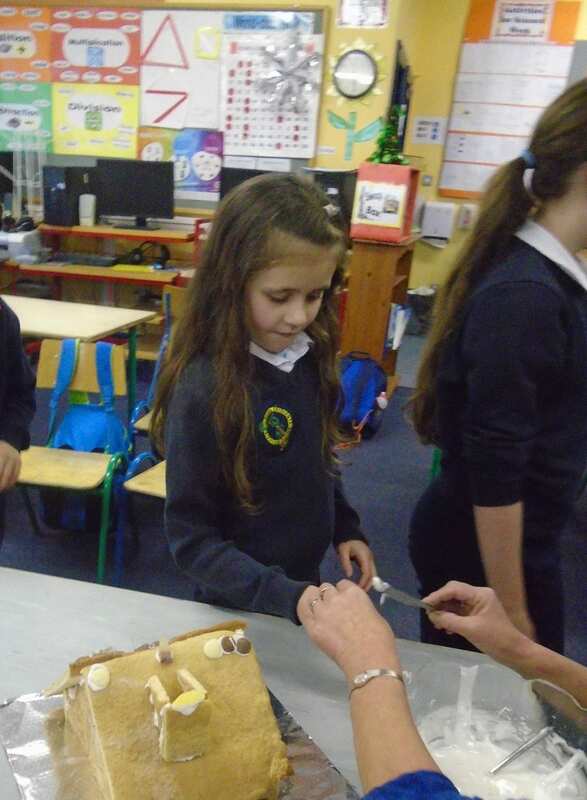 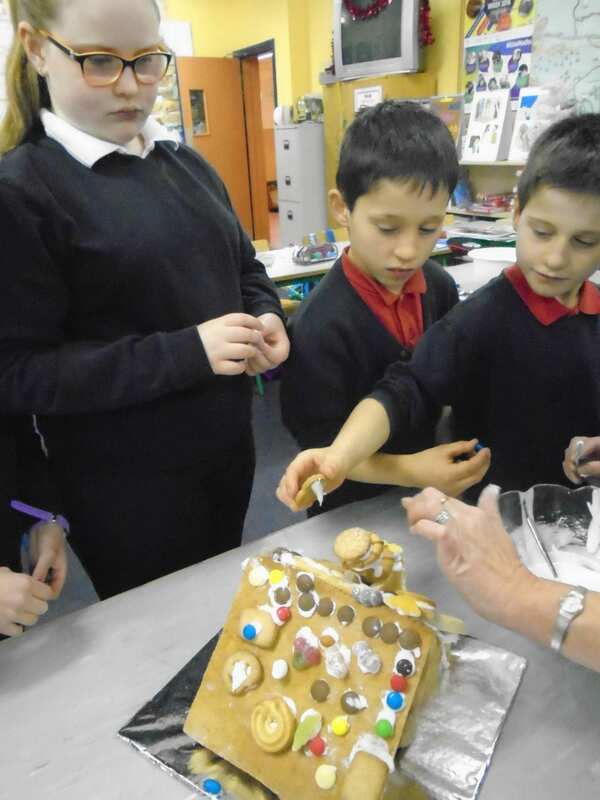 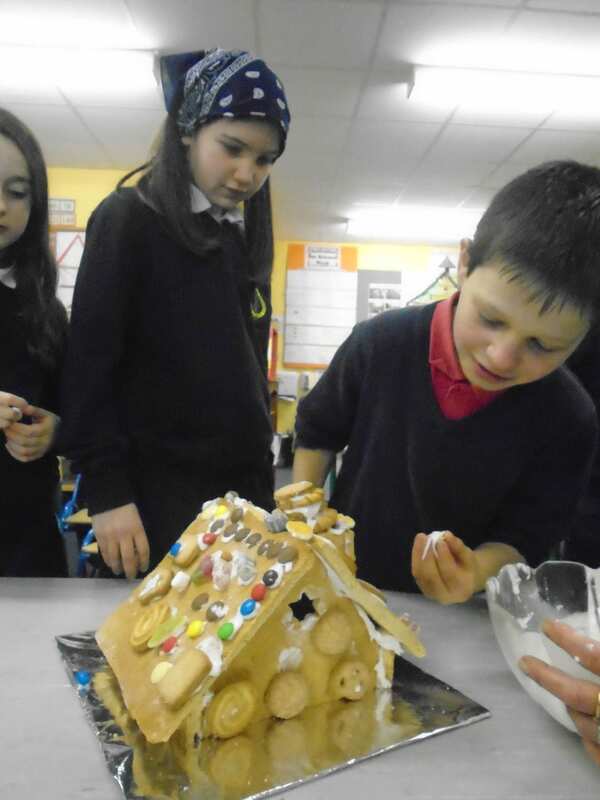 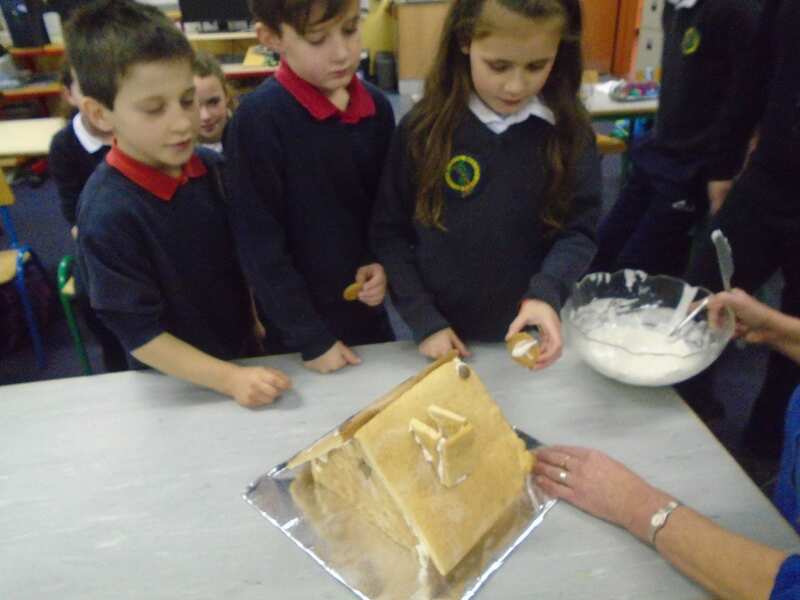 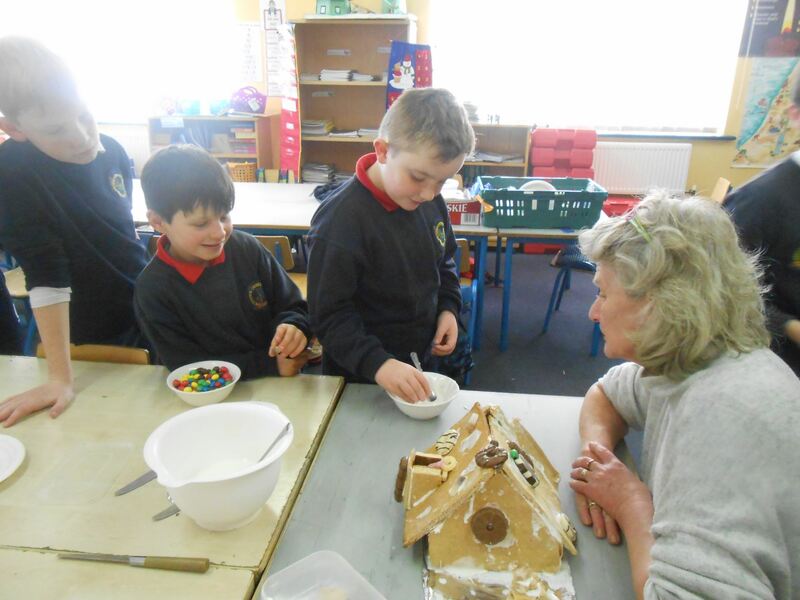 The children had a great time with Katrin creating a Gingerbread House and Chocolate Village. We would like to say well done to the senior classes for devising and rehearsing “The Christmas Puppy”. 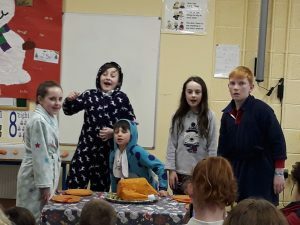 This is the story of a mother’s efforts to produce the “Perfect” Christmas dinner —as usual with these plans, they don’t end well with the arrival of unexpected visitors! 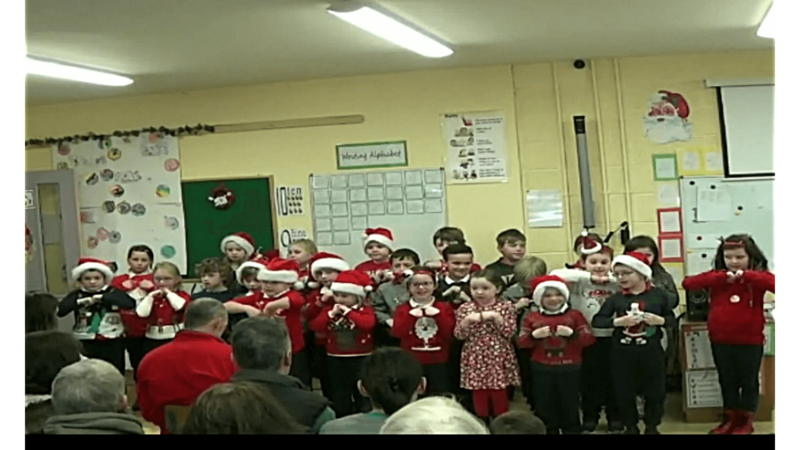 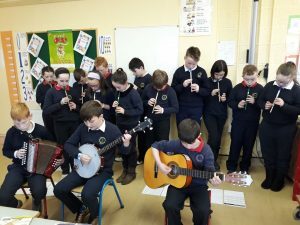 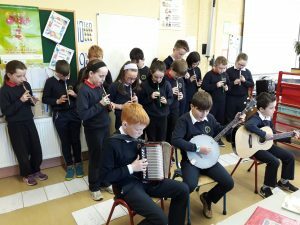 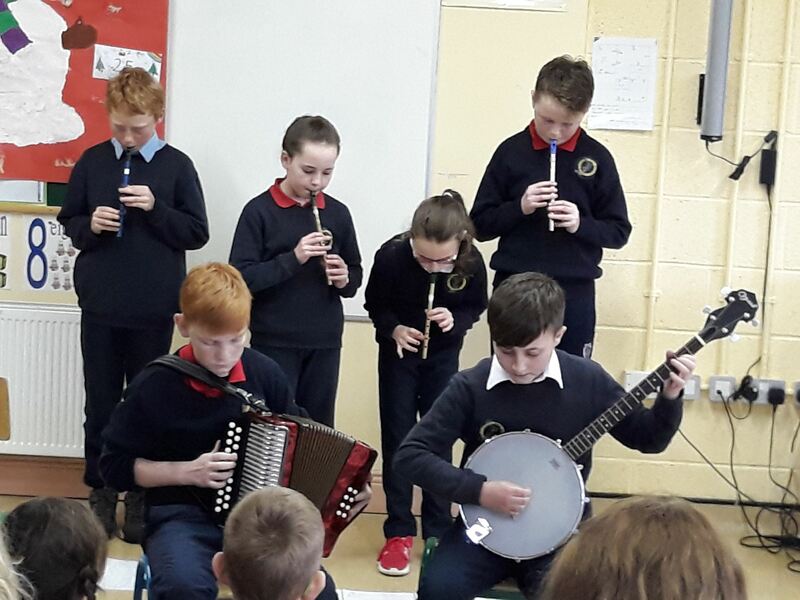 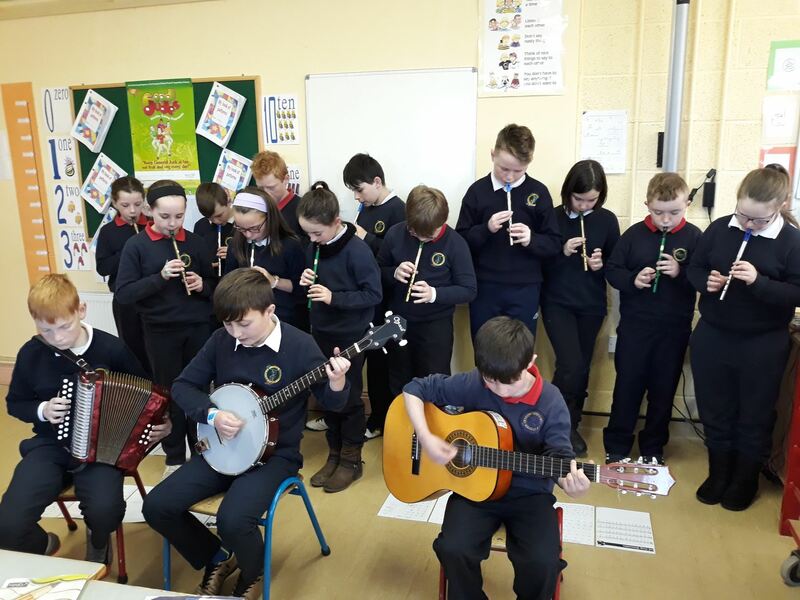 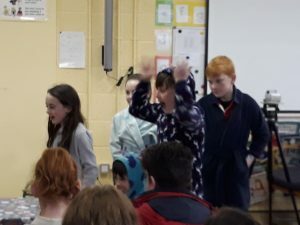 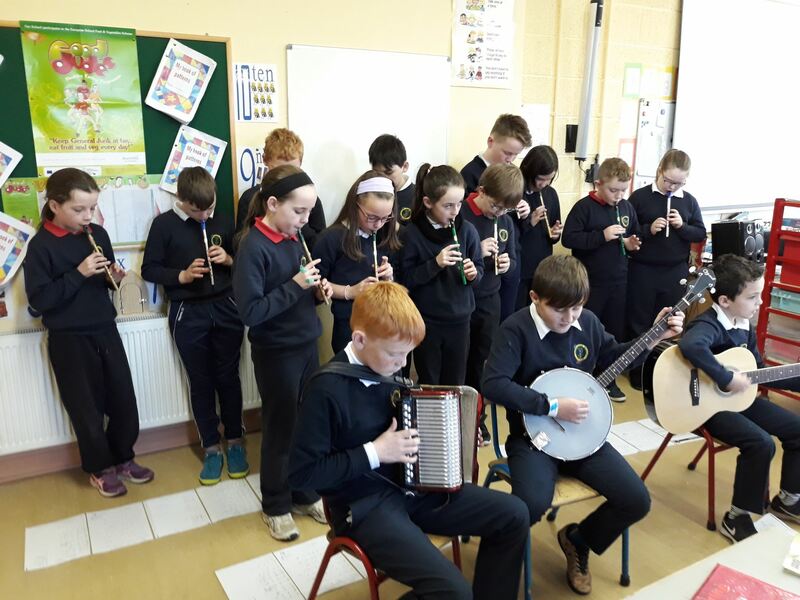 This will be performed by children from 3rd —6th class. 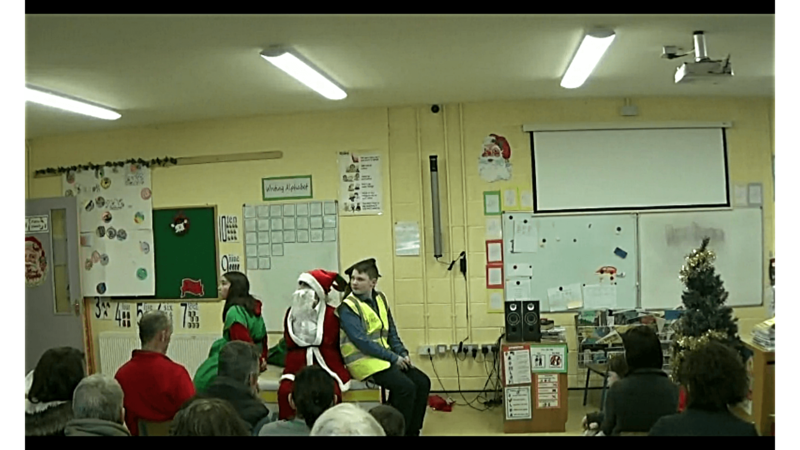 We will also premier our short film “The Dot” on Thursday. 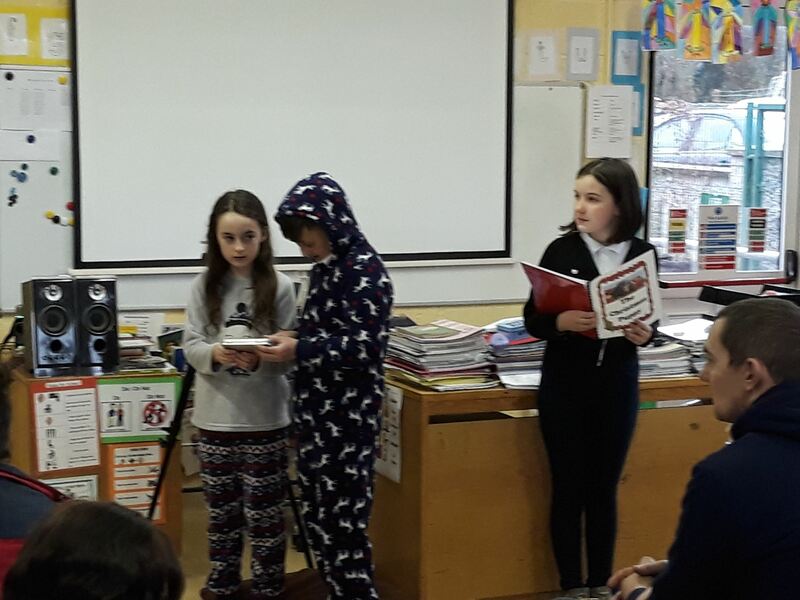 Children in the Junior Room have been very busy learning songs, devising actions and organising their places. 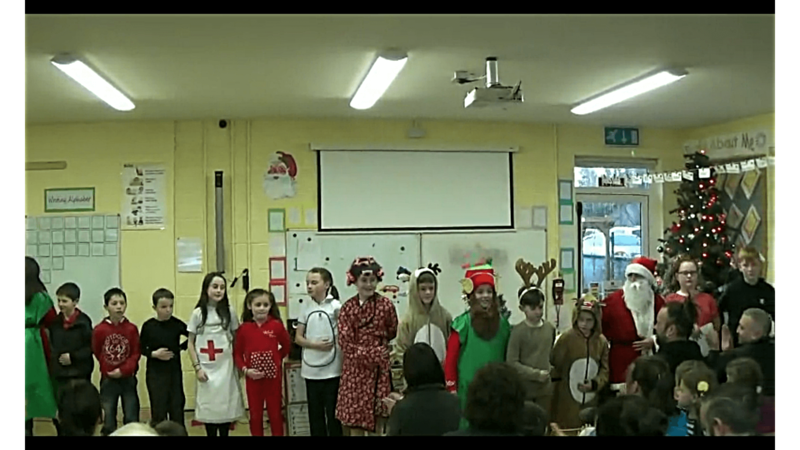 All parents are invited to view a variety of performances on Thursday at 1:20pm sharp. 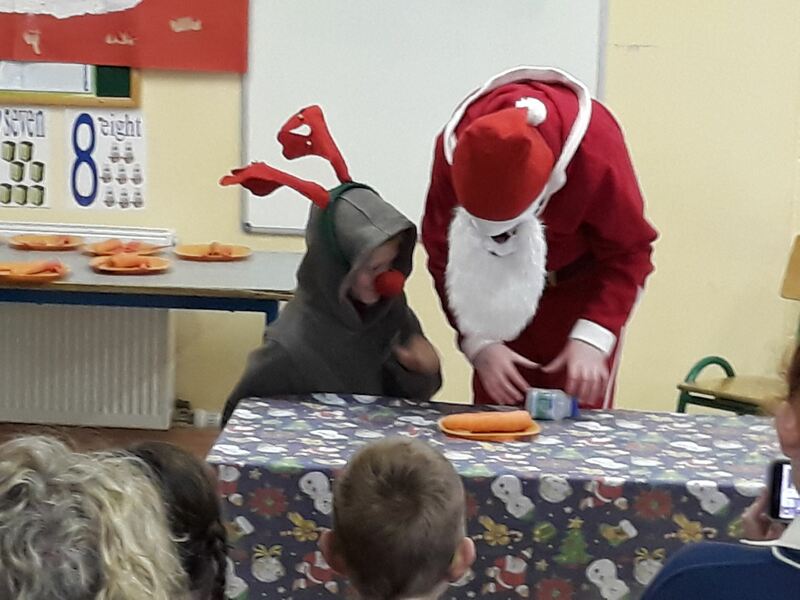 We are all really looking forward to this important Christmas event.